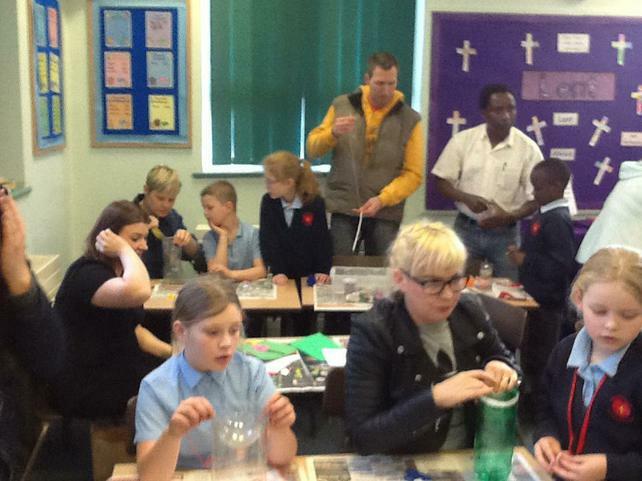 Another week and another assembly. 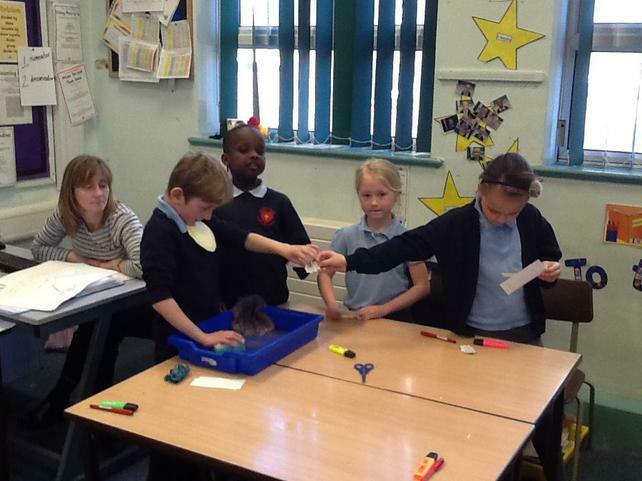 The children gave a good performance of the story of Palm Sunday which provided a thoughtful start to Holy Week. 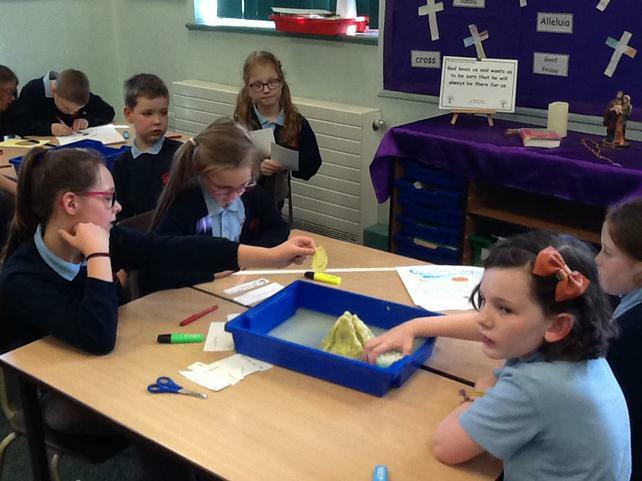 Our journey through Holy Week has included a journey through the school following the Stations of The Cross and The Last Supper assembly performed by Class 4. 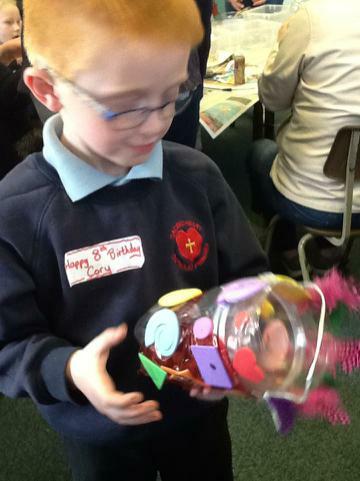 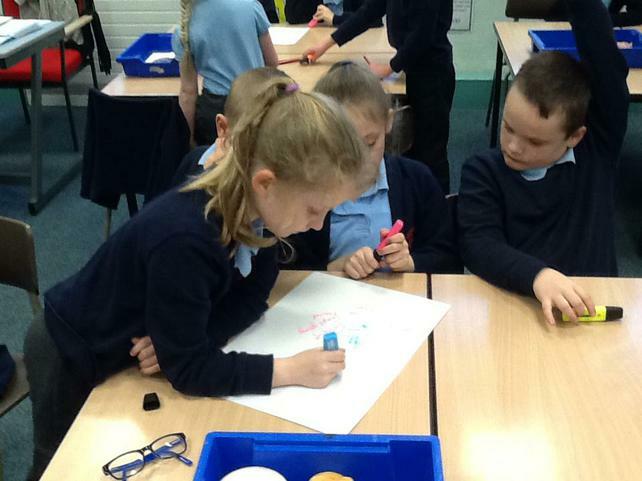 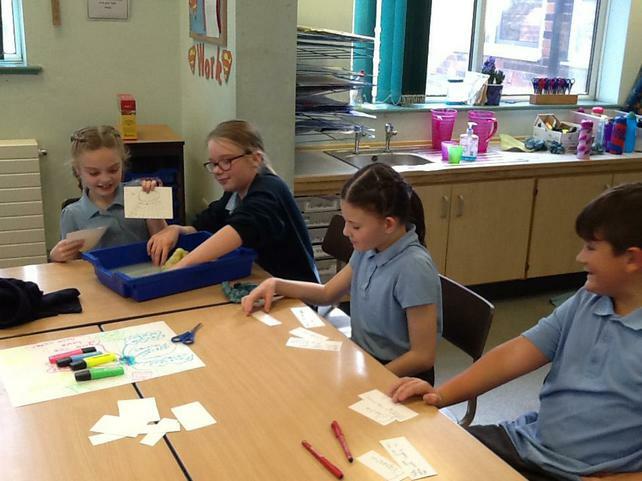 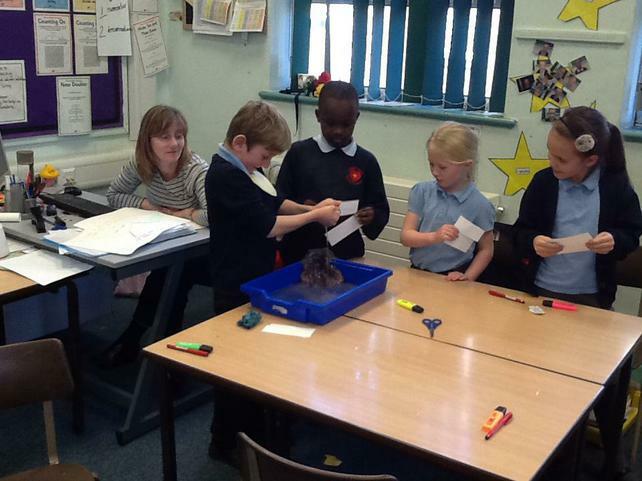 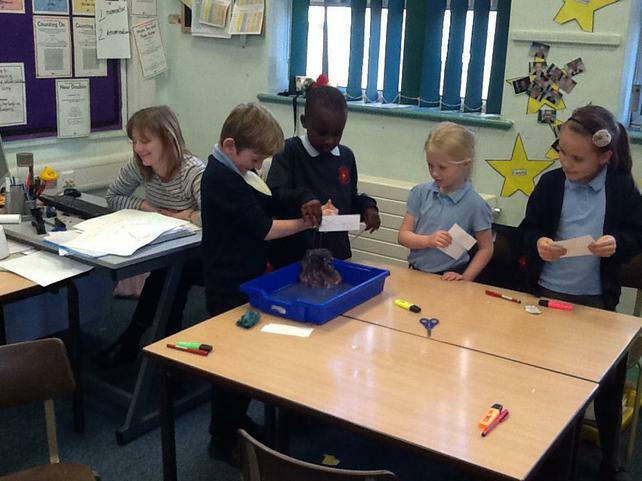 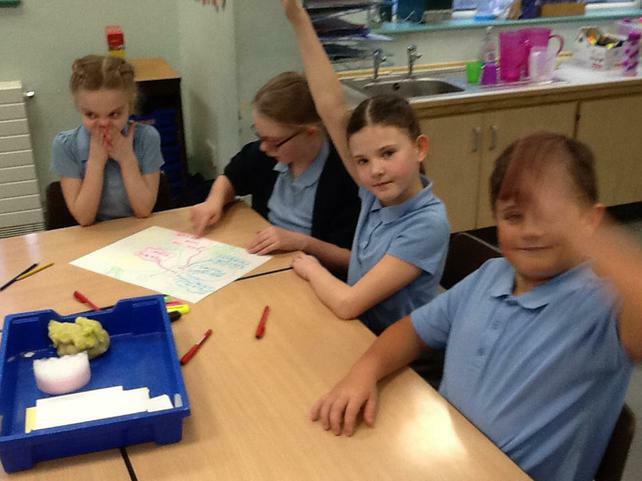 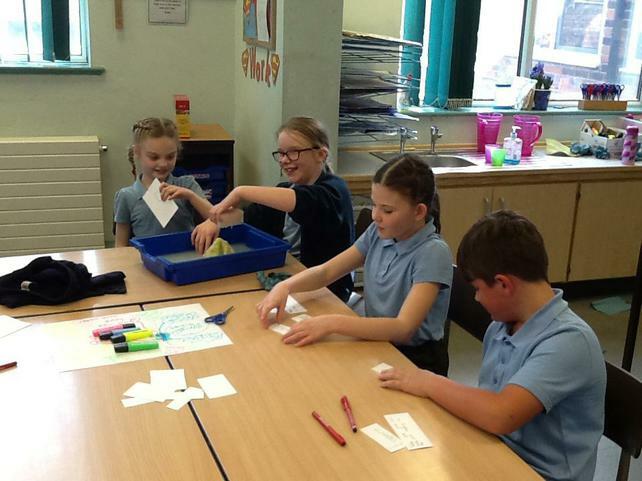 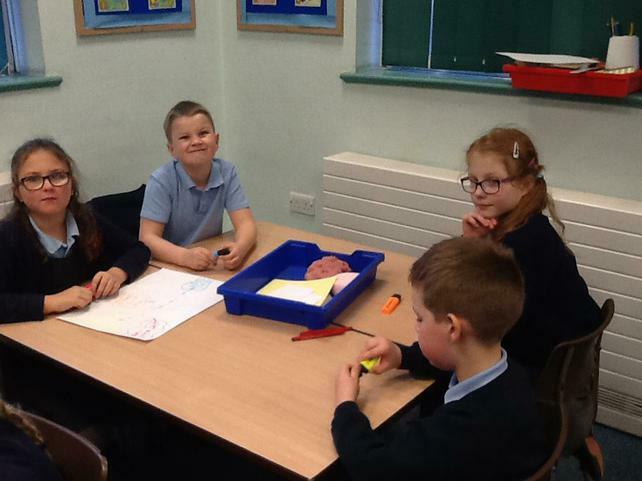 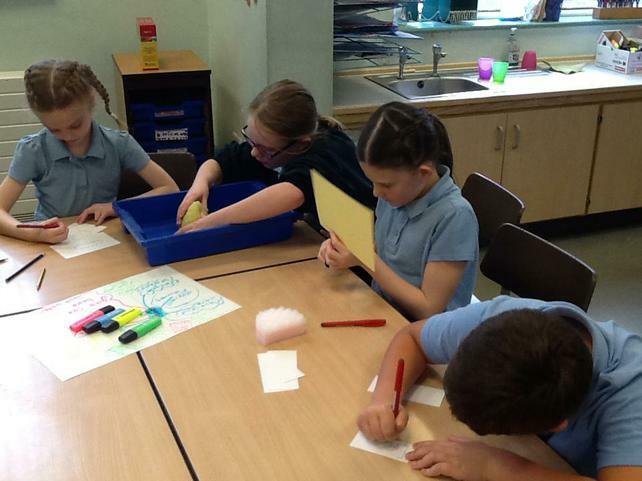 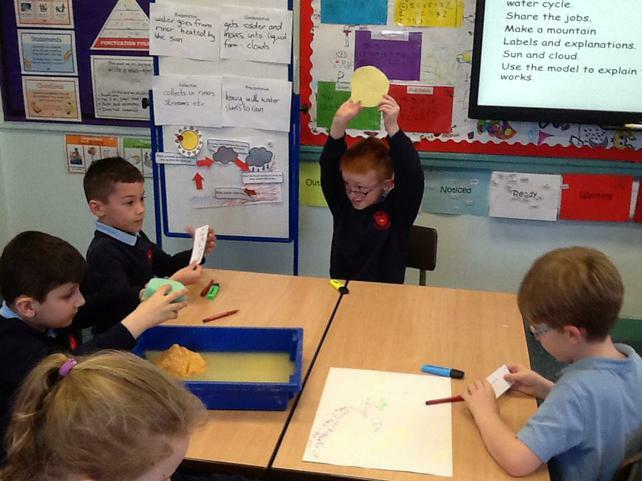 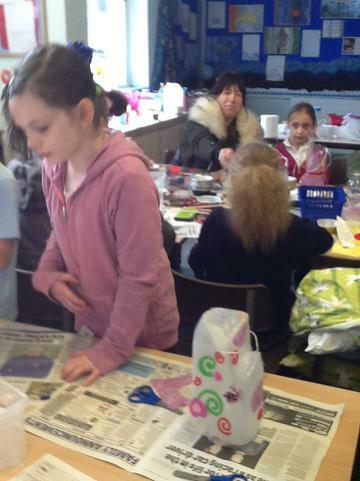 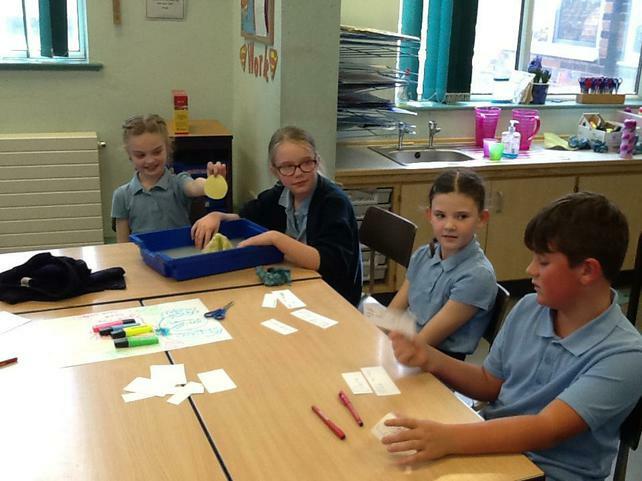 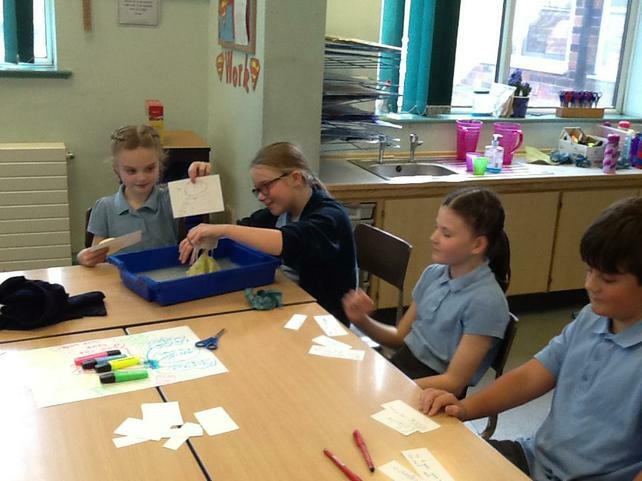 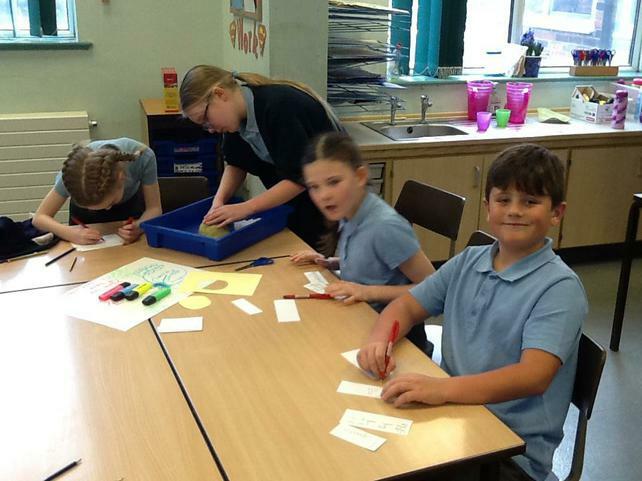 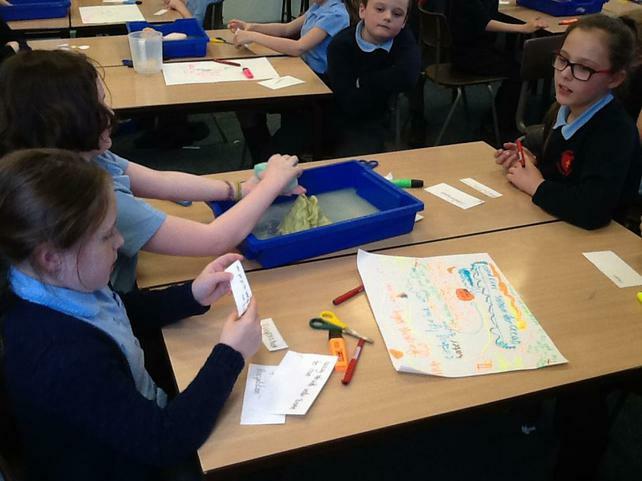 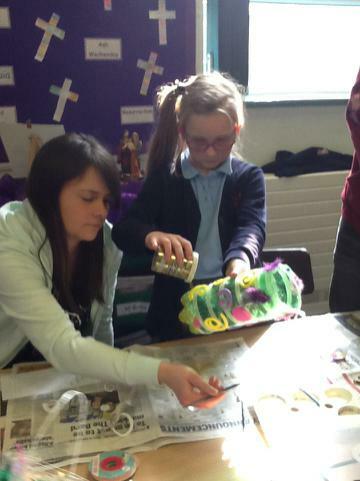 We enjoyed making Easter cards and Easter crafts. 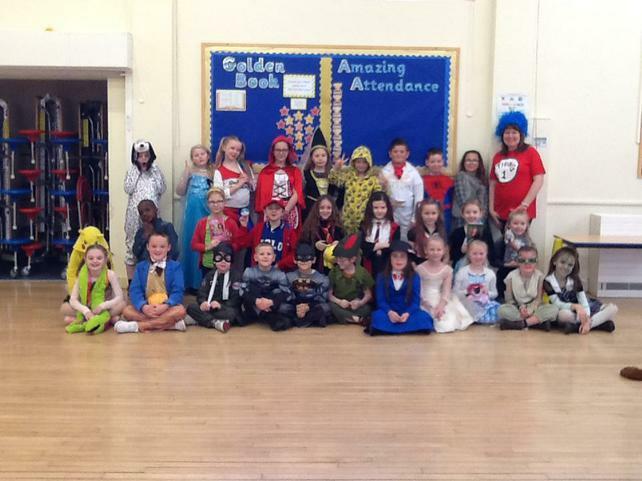 A big thank you to everyone who attended our assembly on Tuesday afternoon. 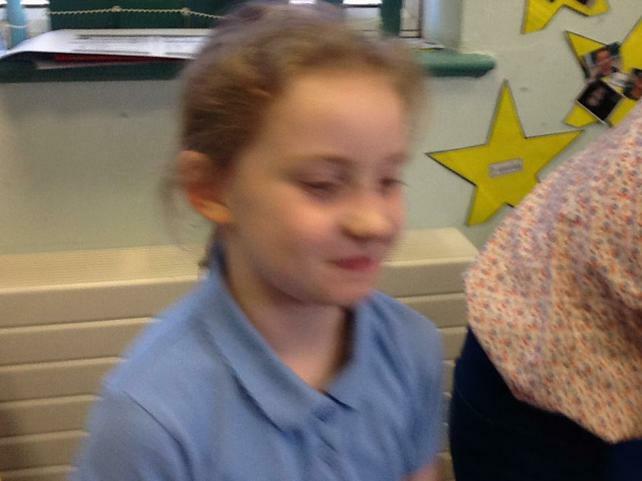 The children sang beautifully and they always make me cry when they sing 'True Colours.' 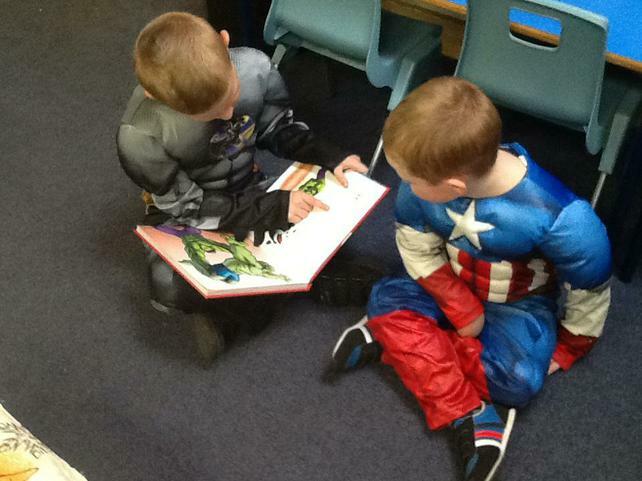 They read clearly as well. 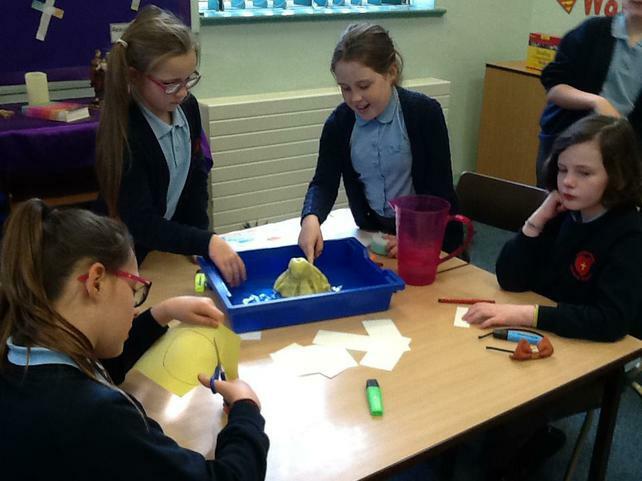 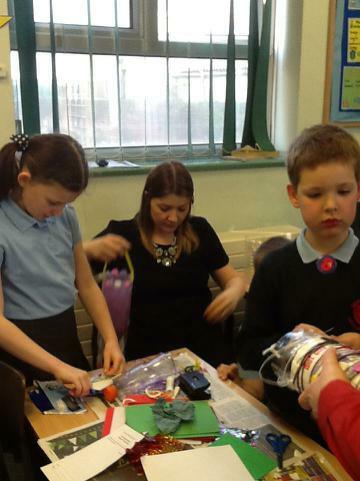 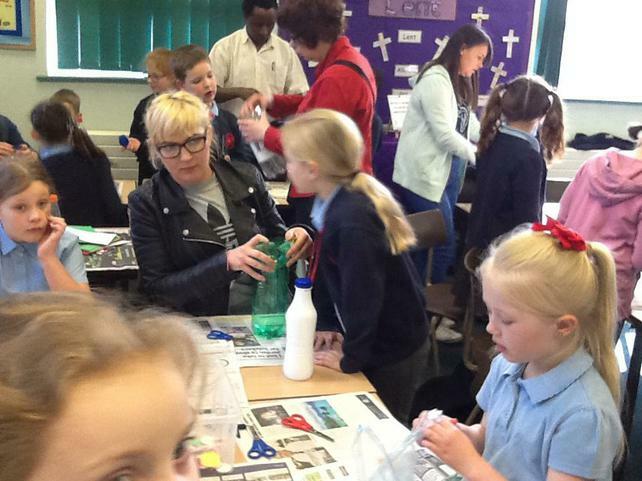 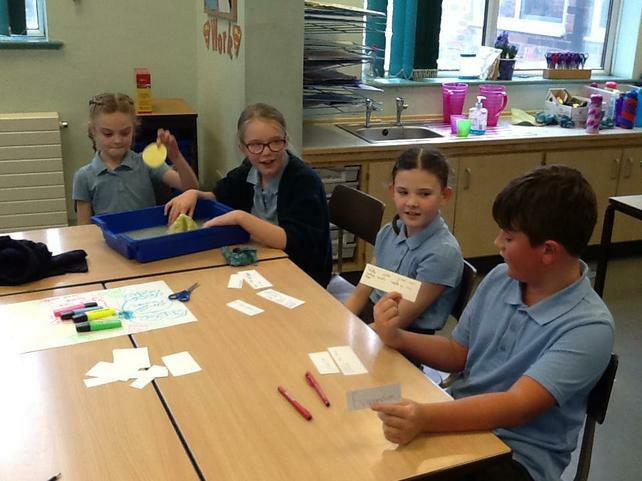 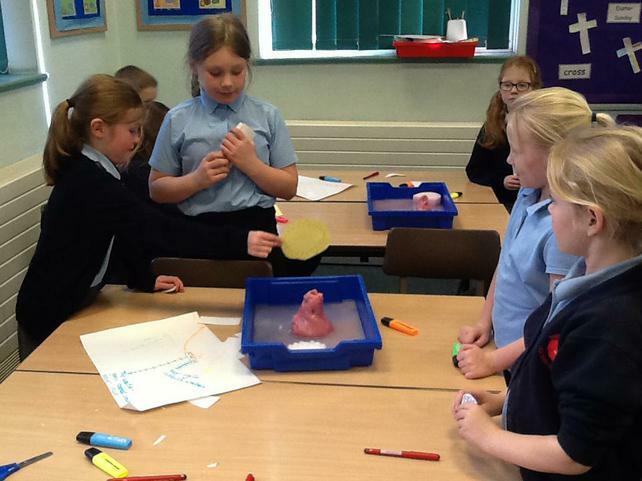 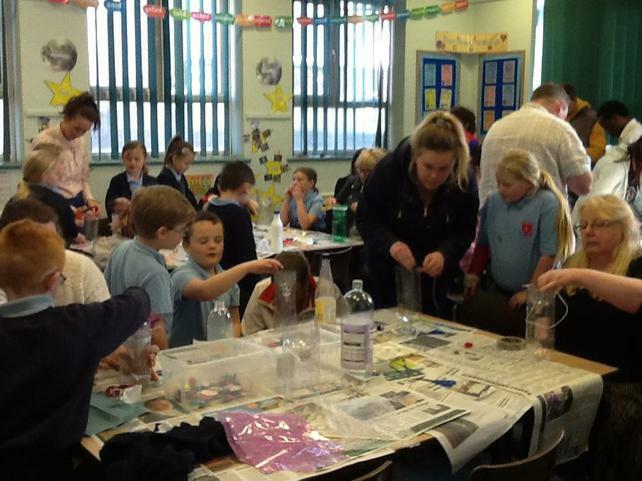 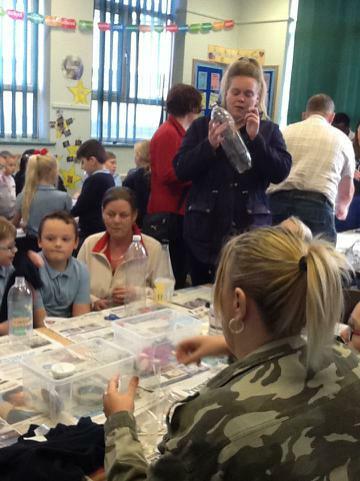 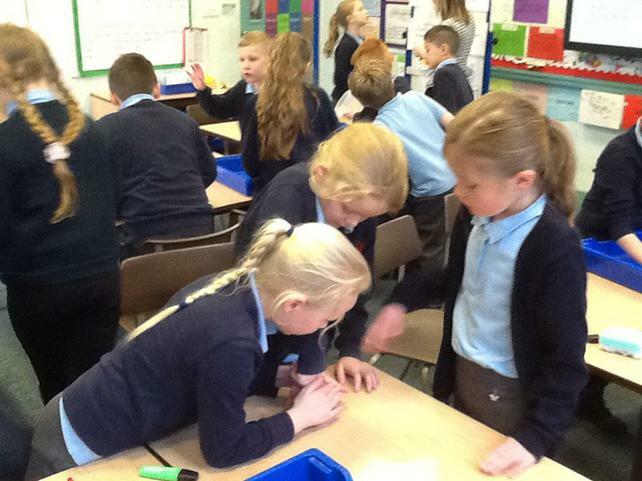 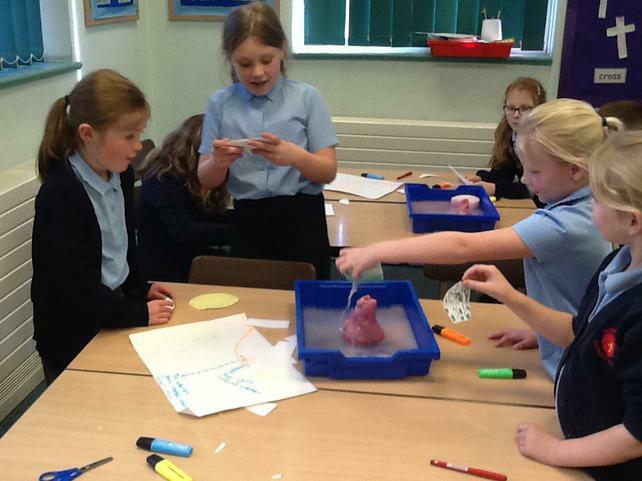 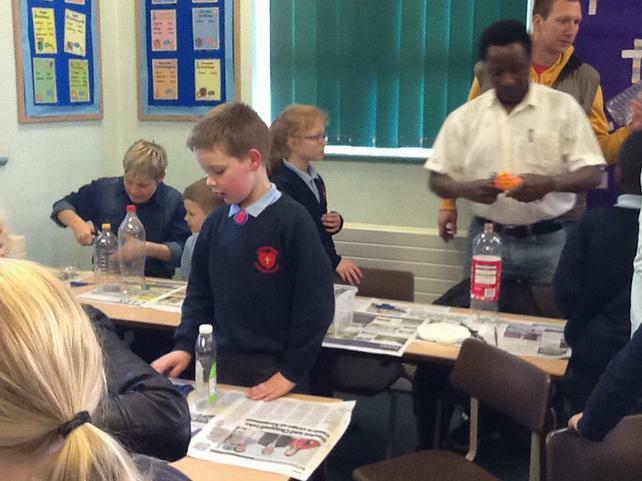 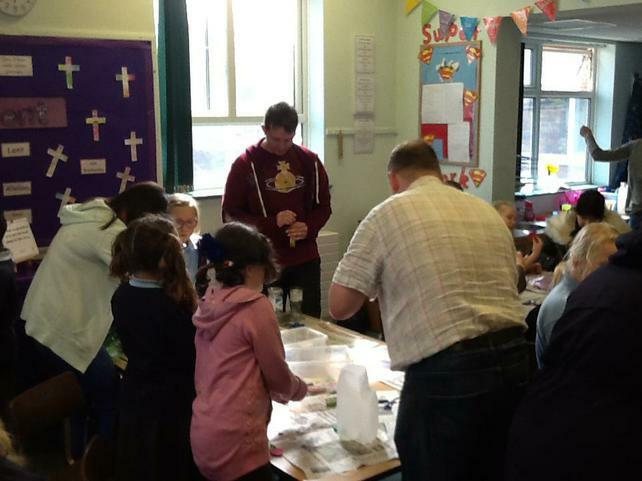 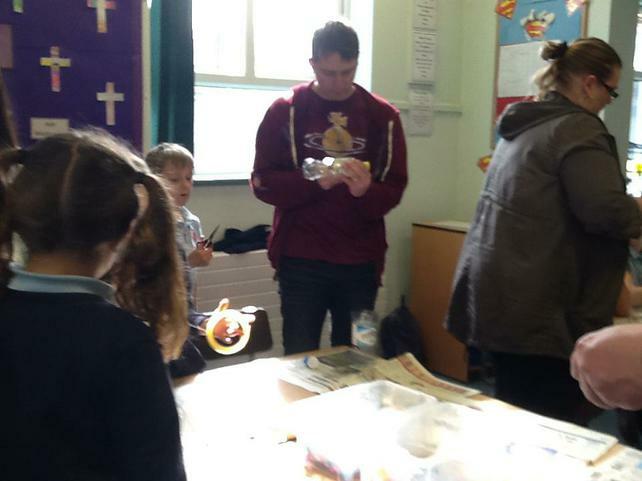 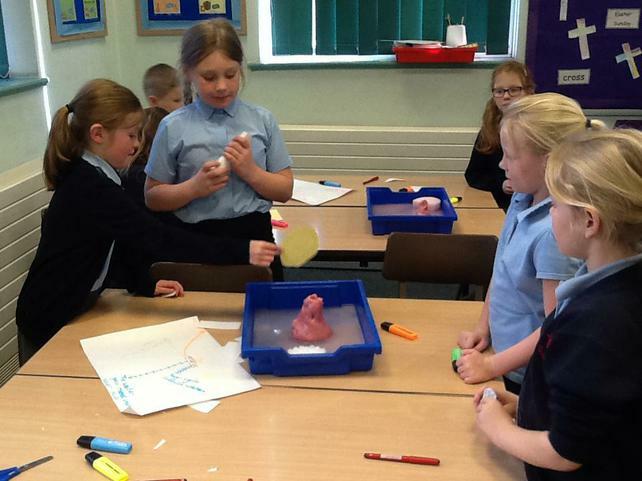 We have had a very busy week and a very well attended parents afternoon. 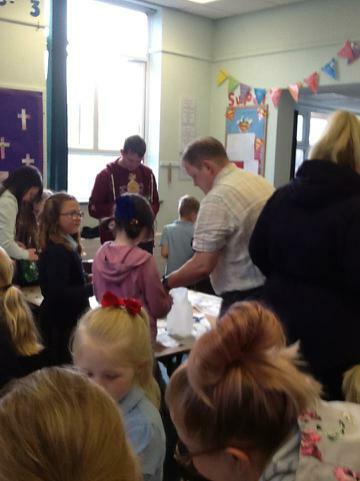 A big thank you to everyone who came. 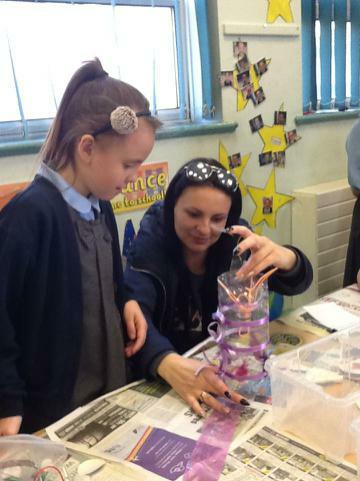 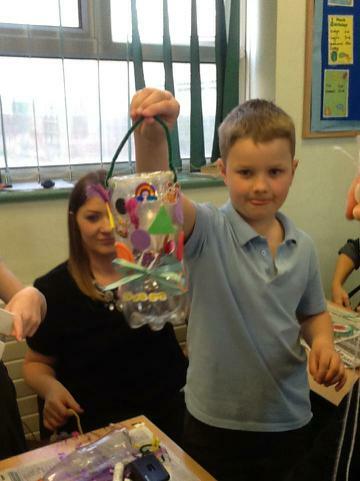 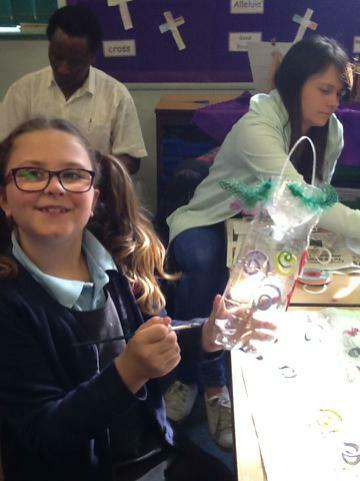 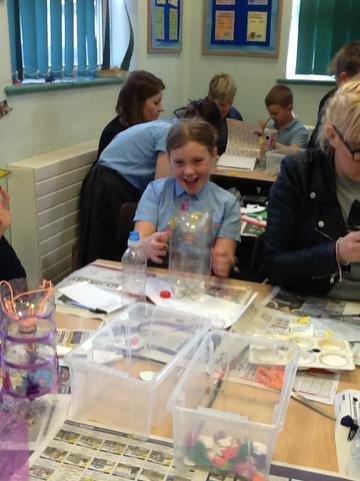 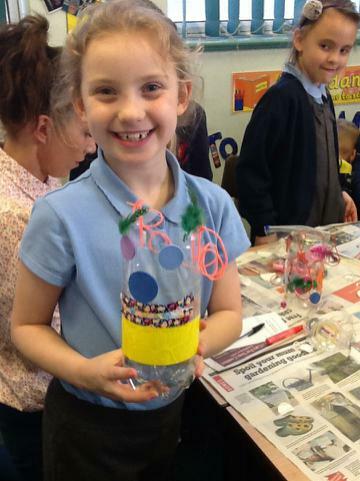 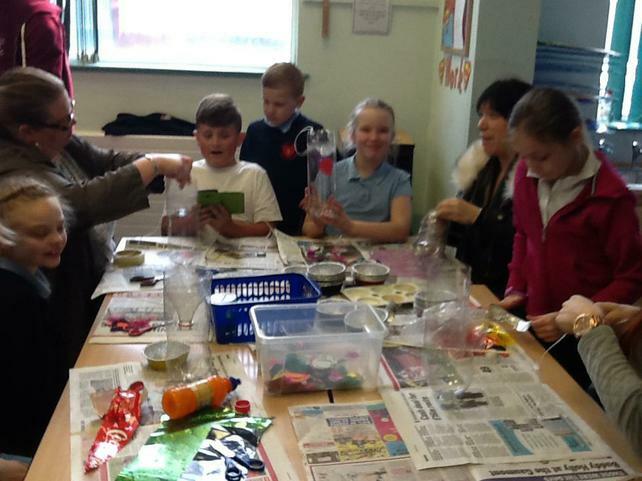 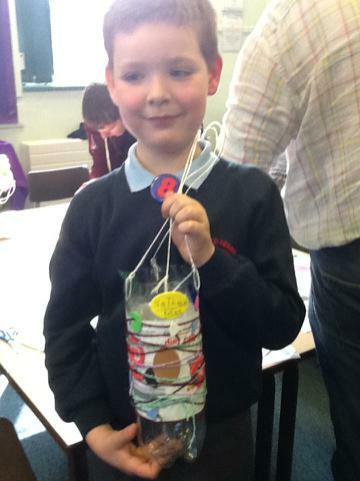 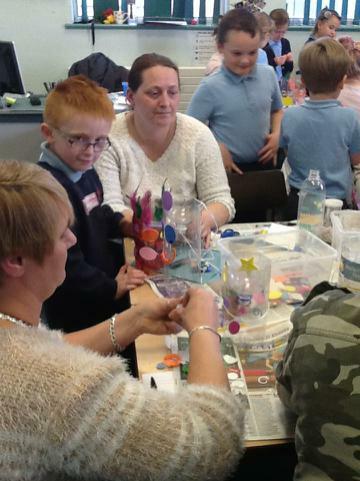 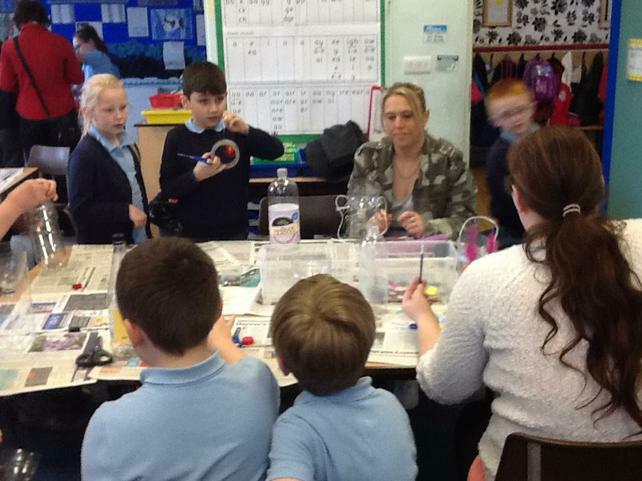 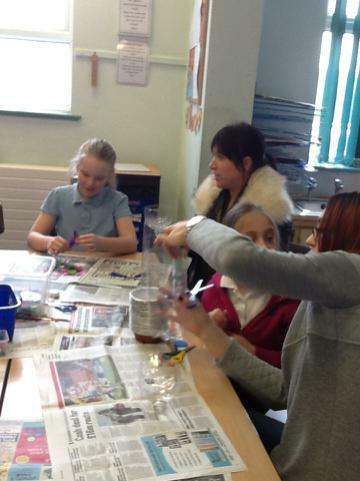 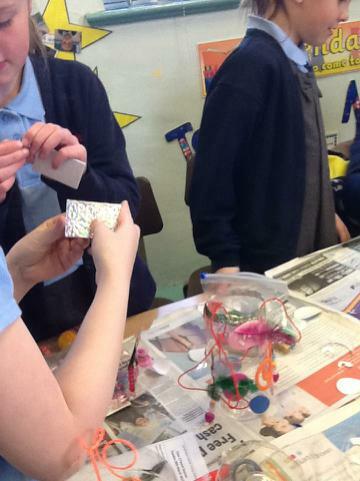 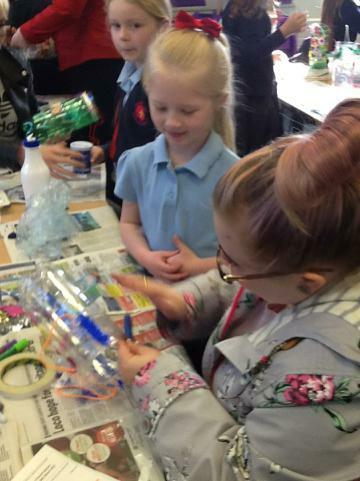 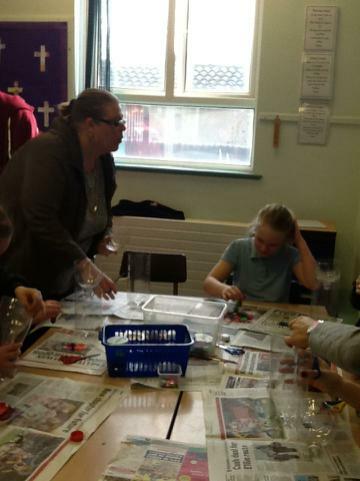 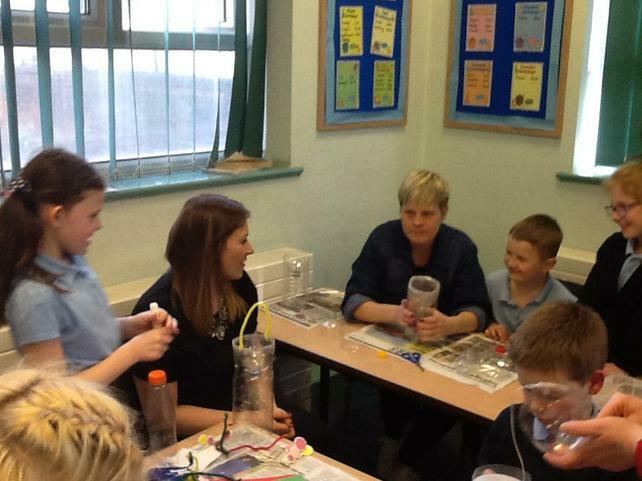 We had a lovely afternoon making water catchers. 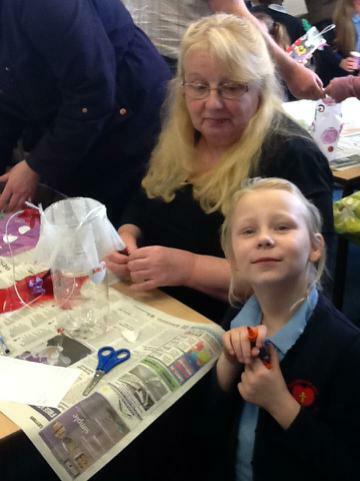 Everyone who has seen them think they are lovely and the children enjoyed having their grown up in for the afternoon. 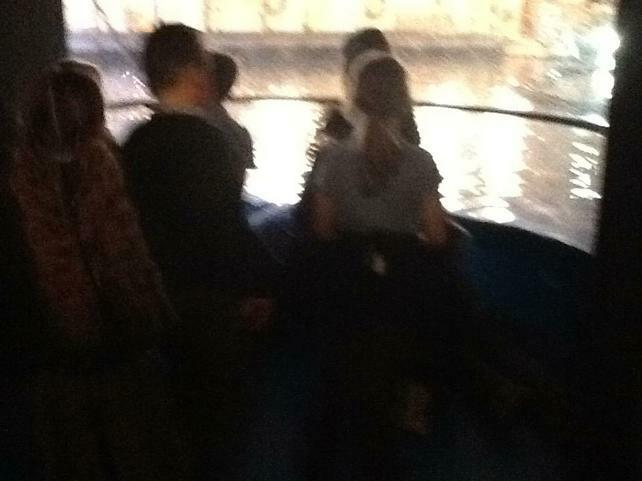 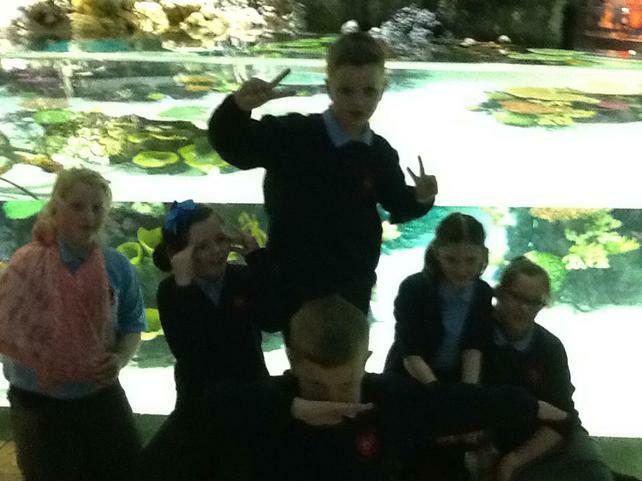 We were a bit squashed but it all adds to the fun. 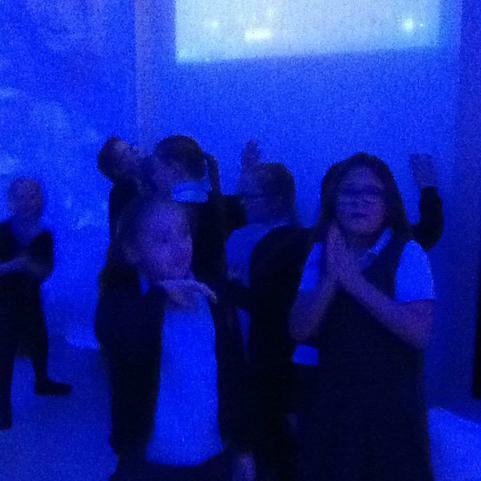 We are now practicing for assembly. 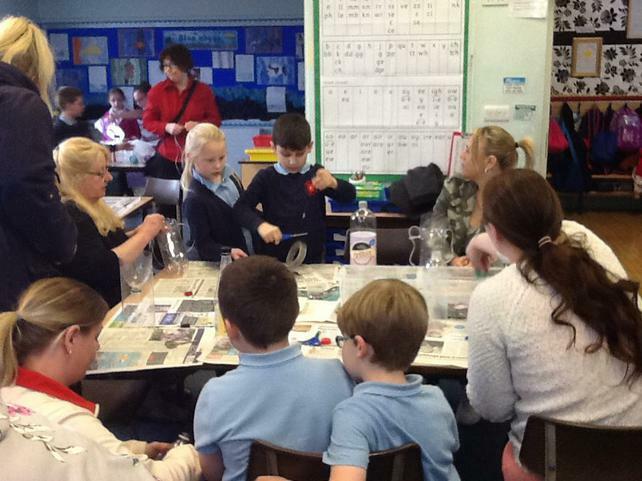 This is on Tuesday next week and we hope you can come. 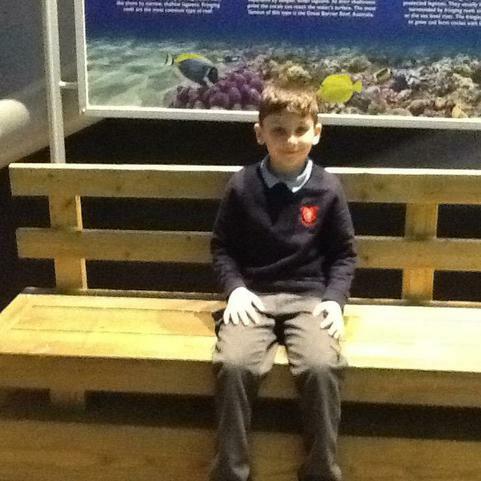 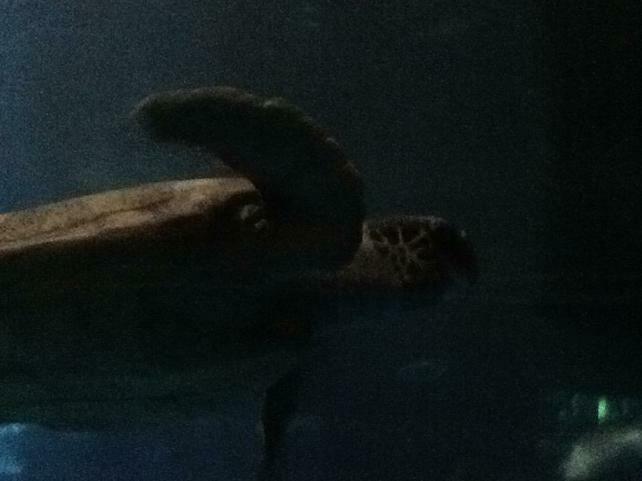 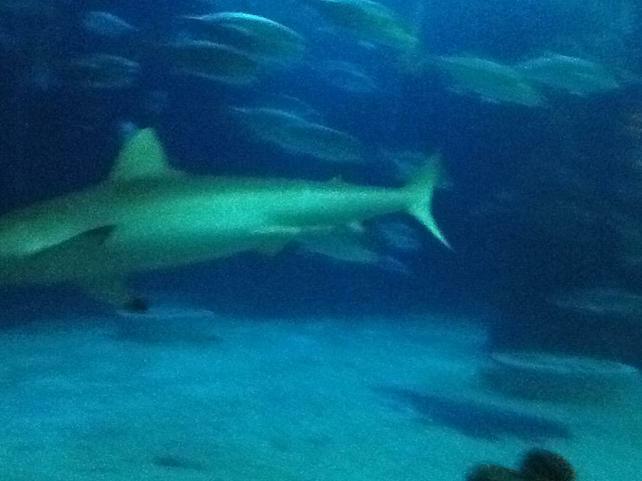 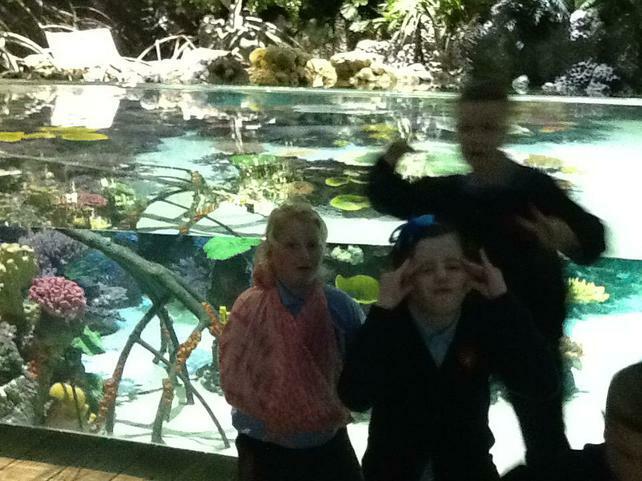 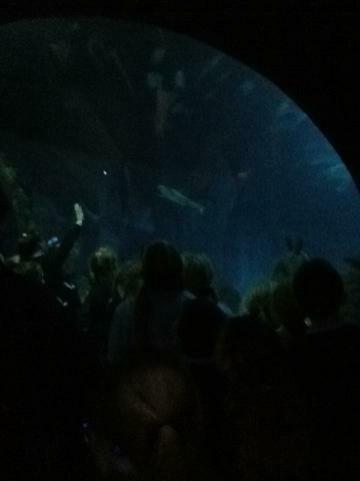 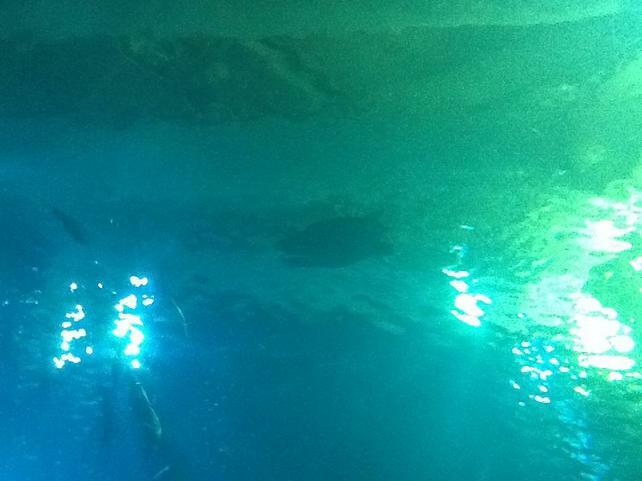 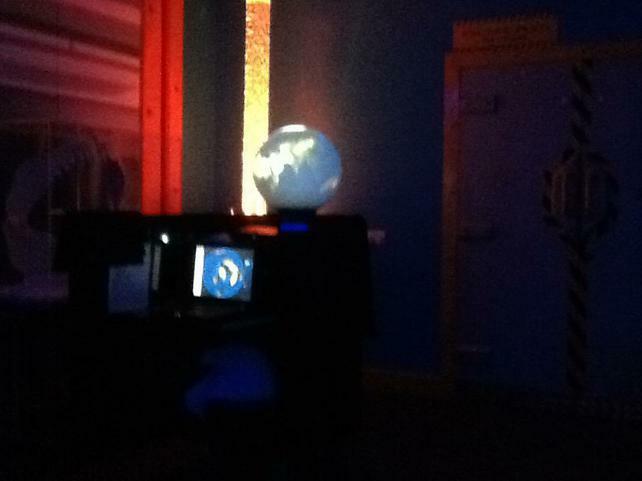 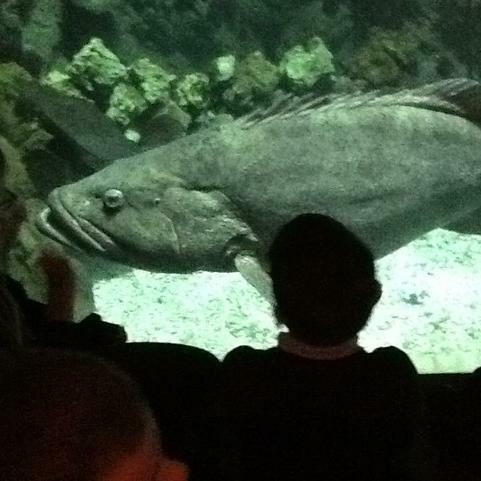 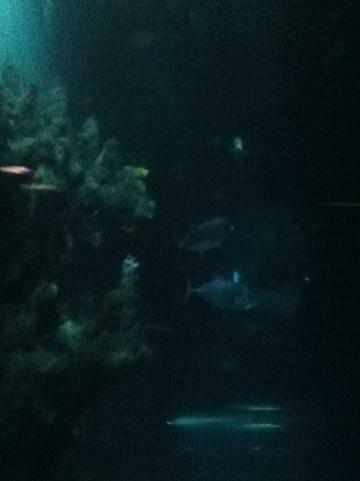 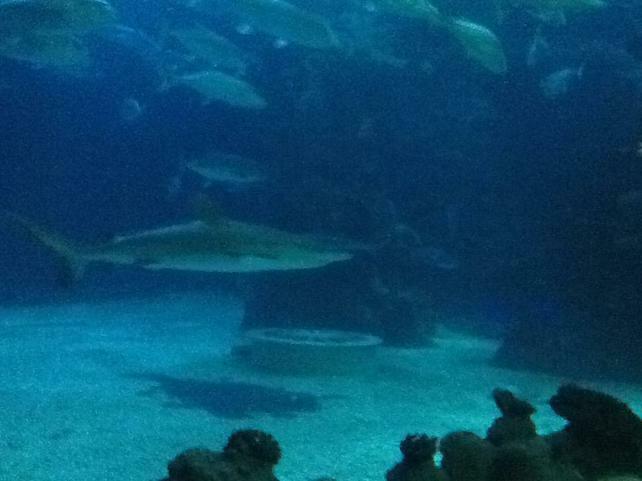 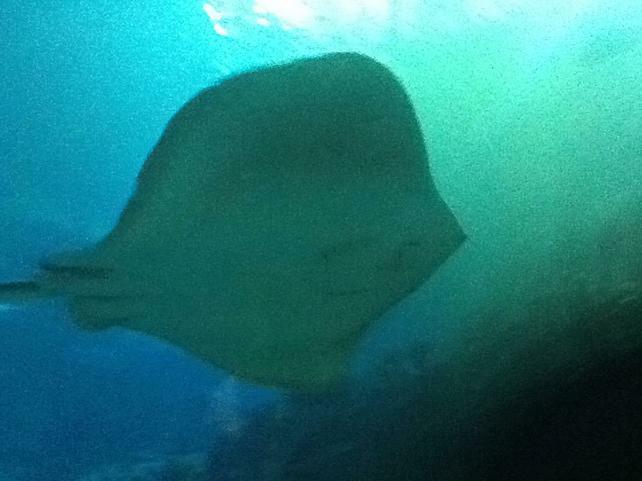 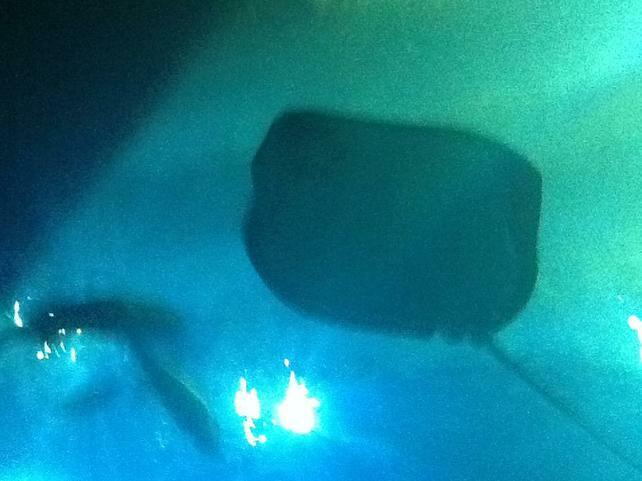 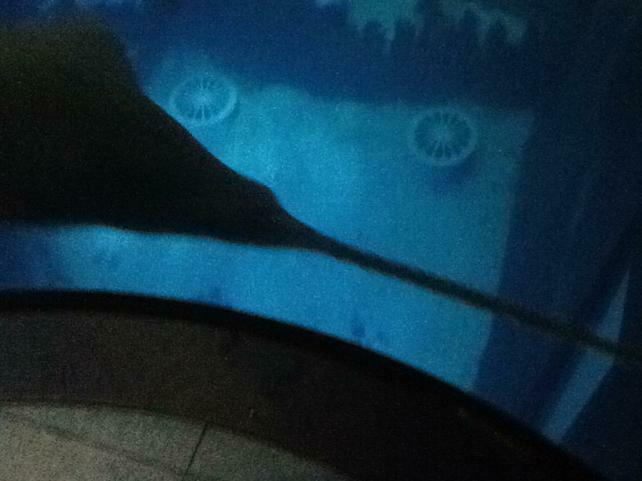 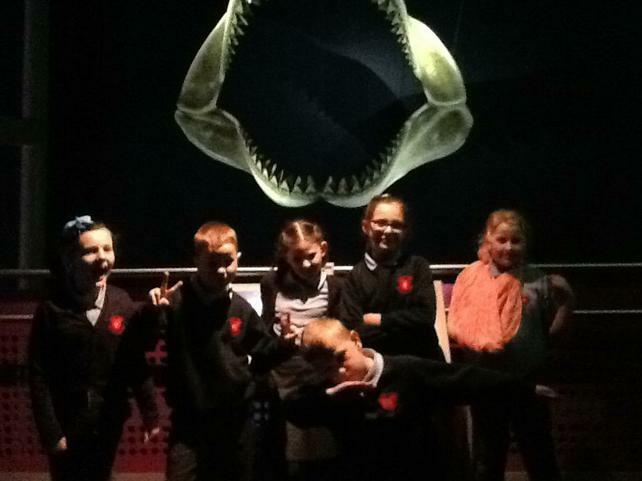 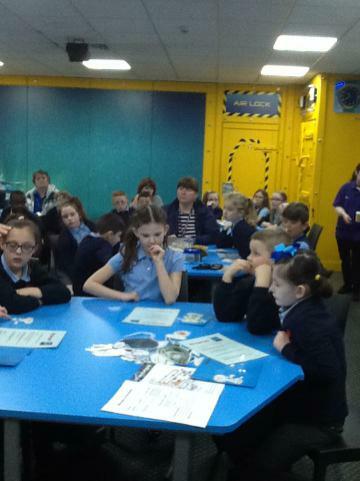 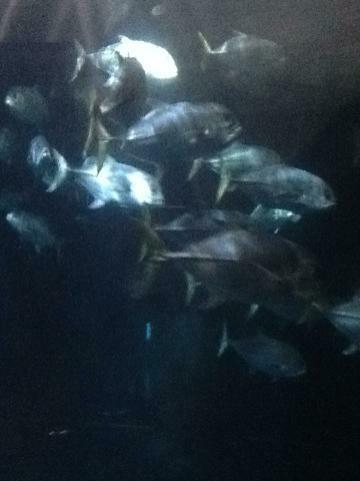 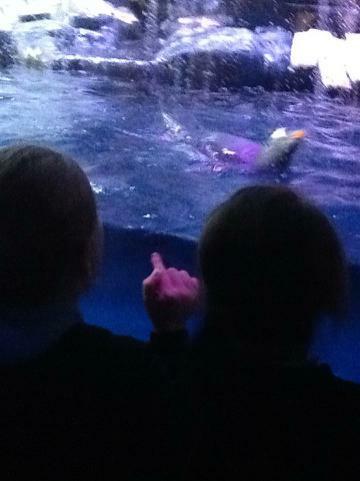 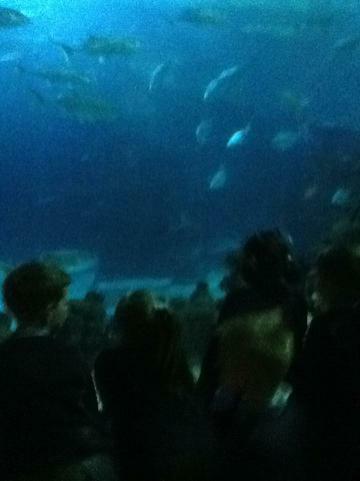 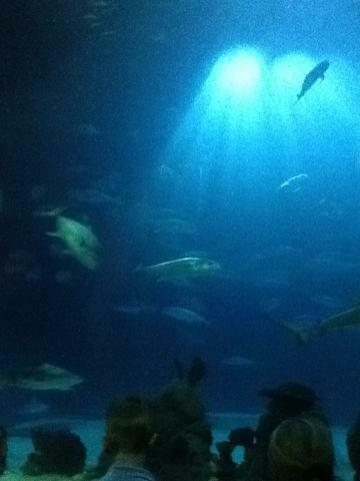 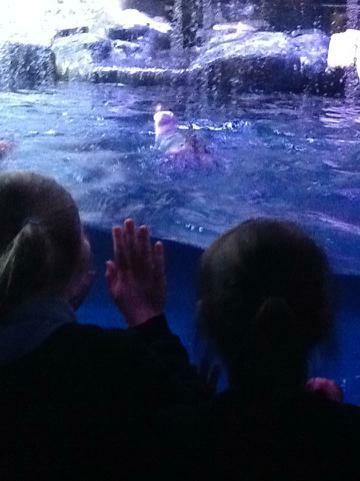 We had a great time at The Deep yesterday. 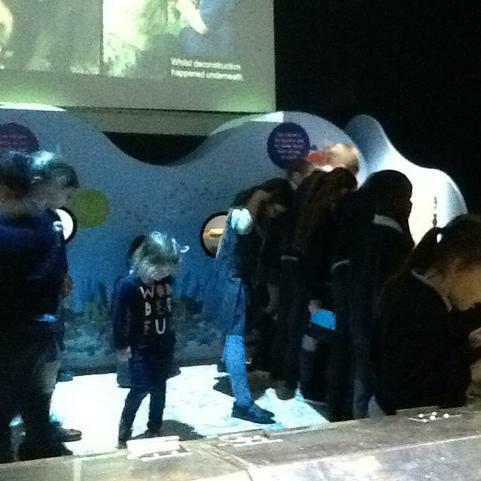 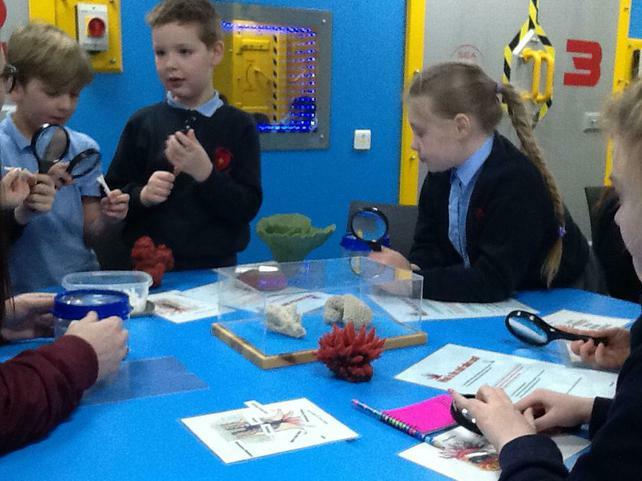 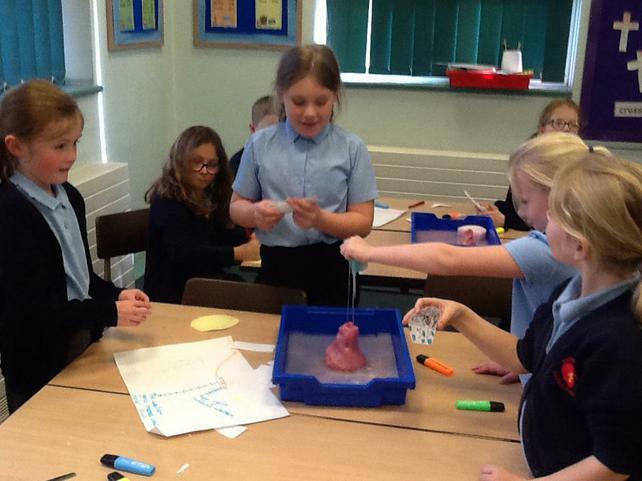 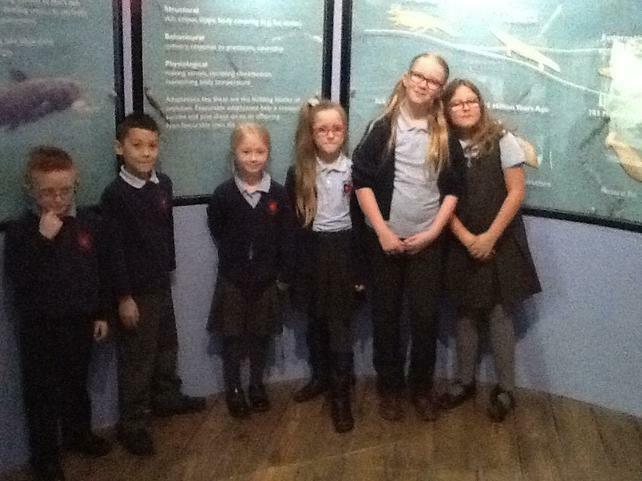 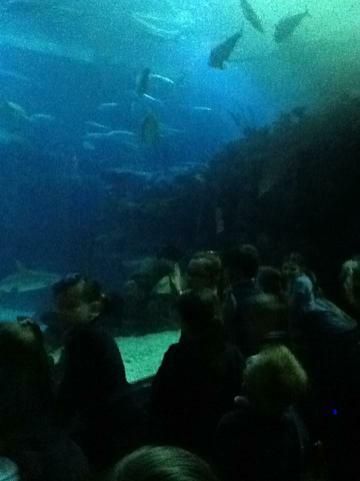 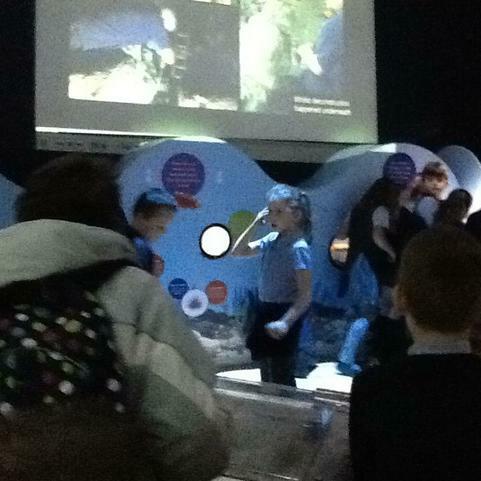 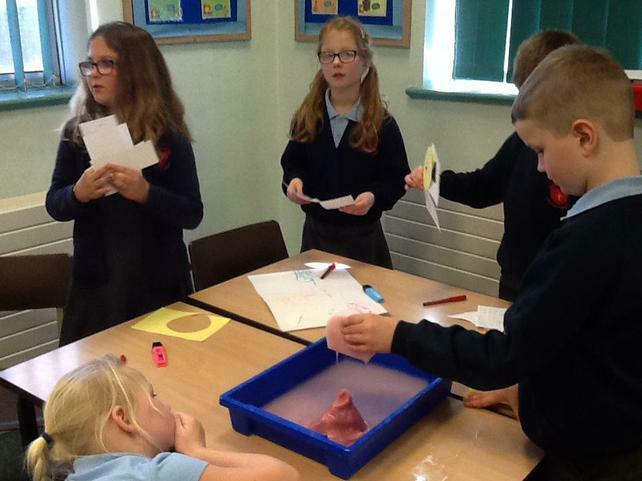 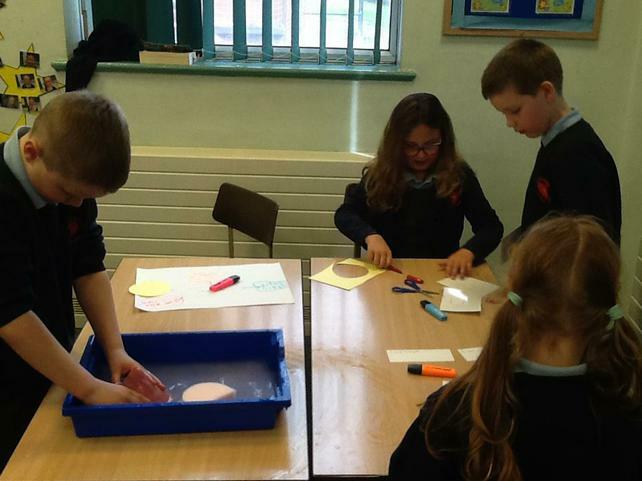 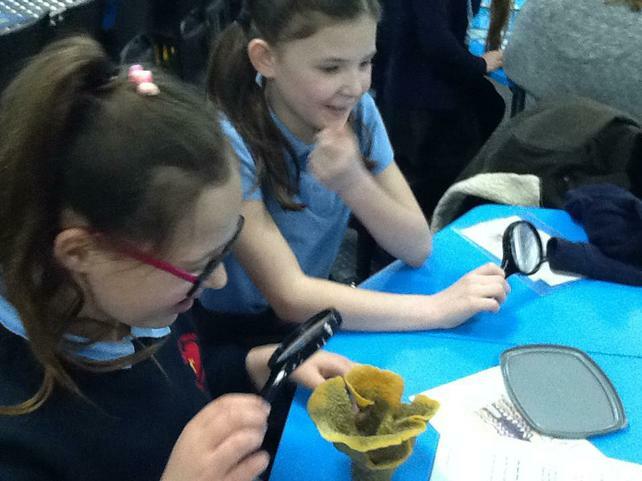 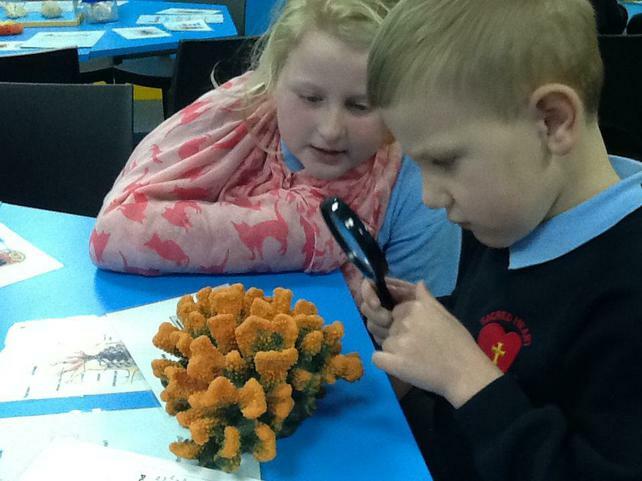 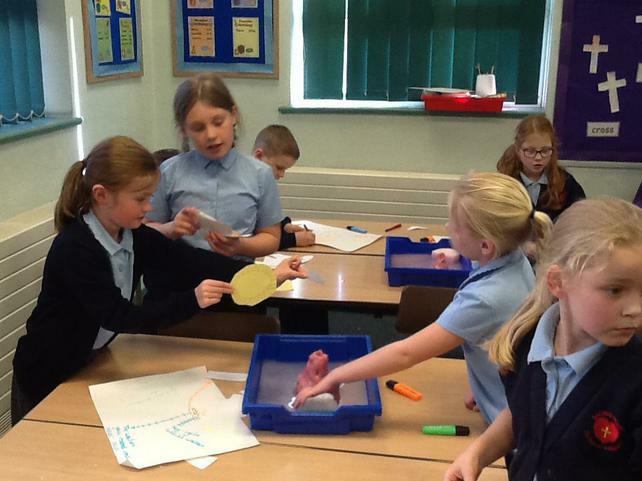 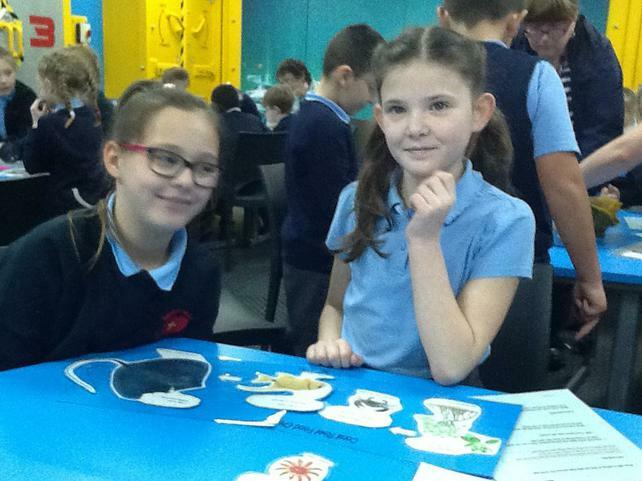 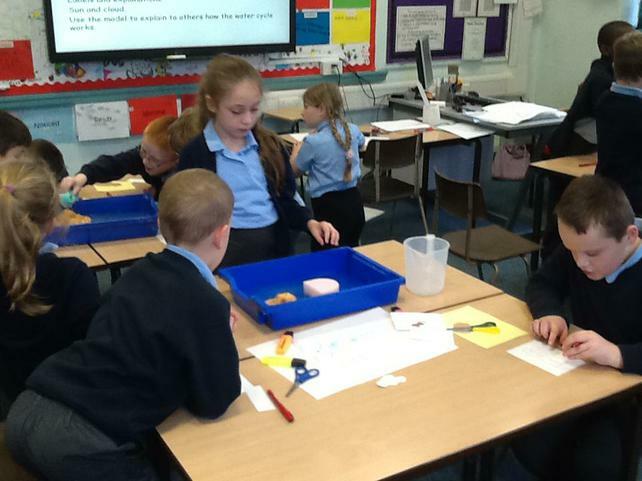 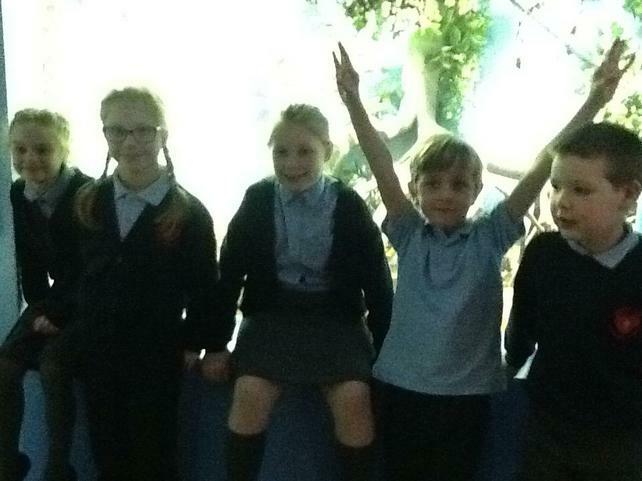 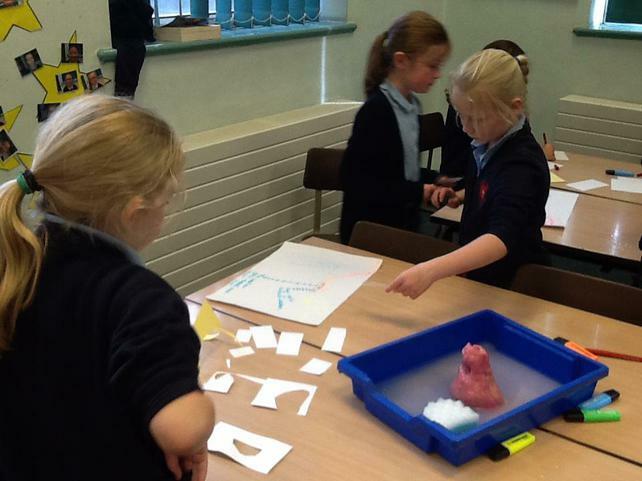 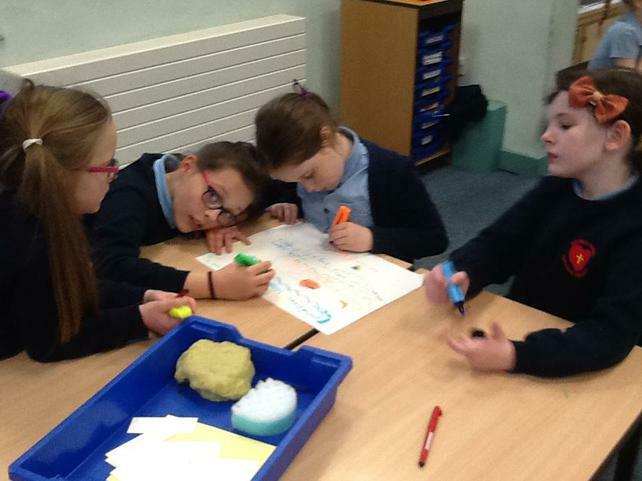 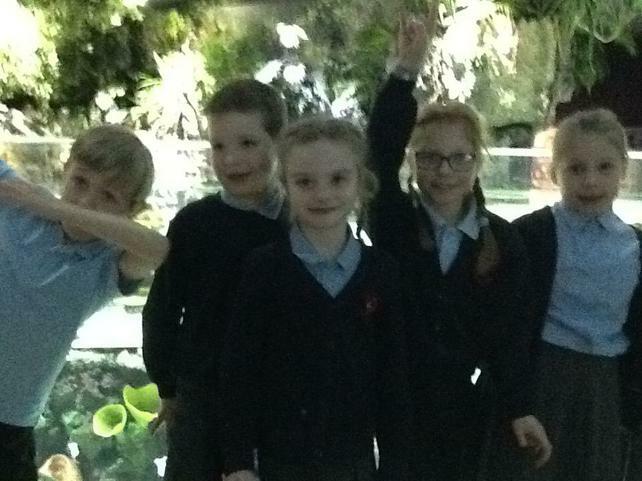 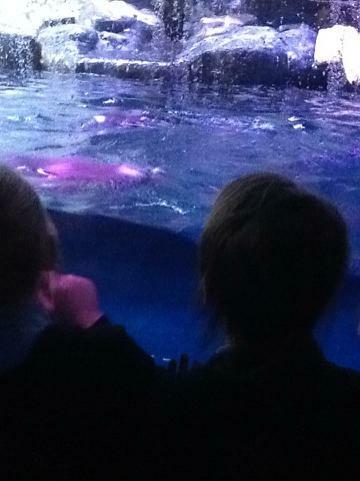 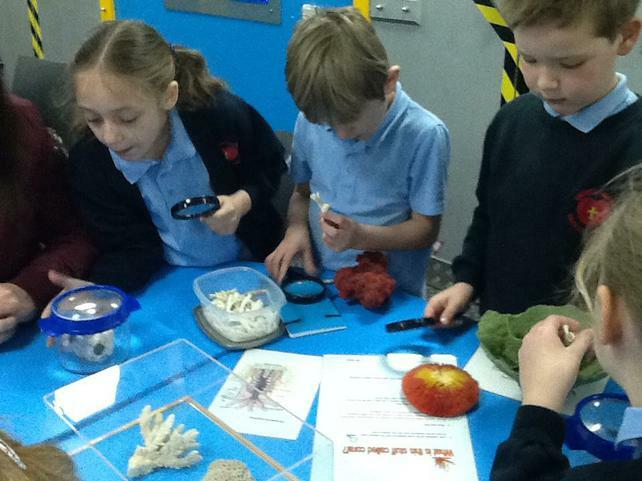 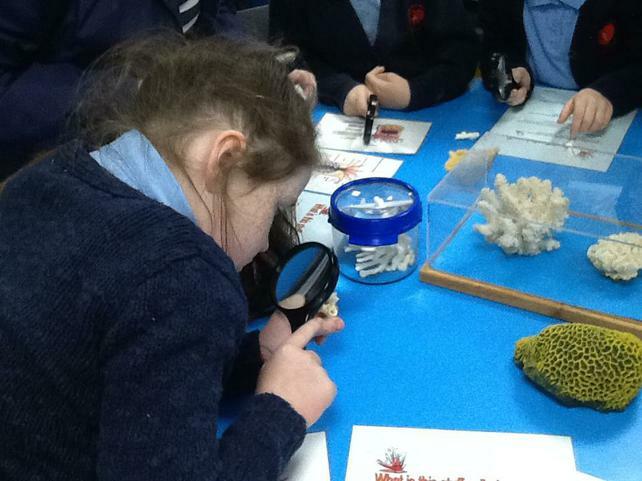 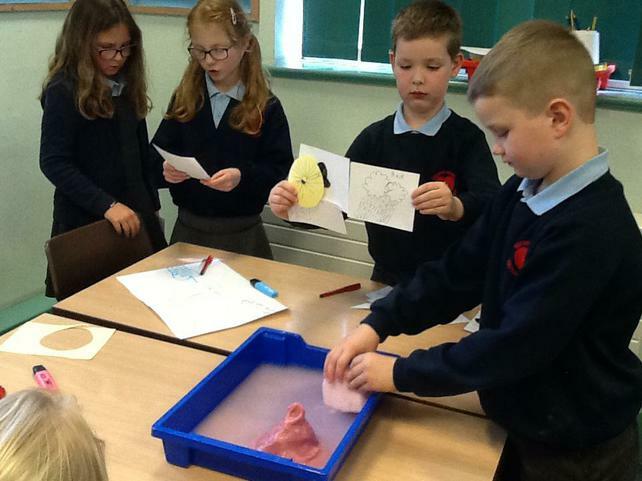 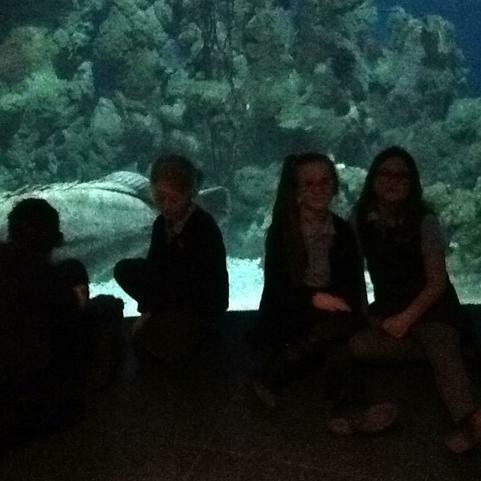 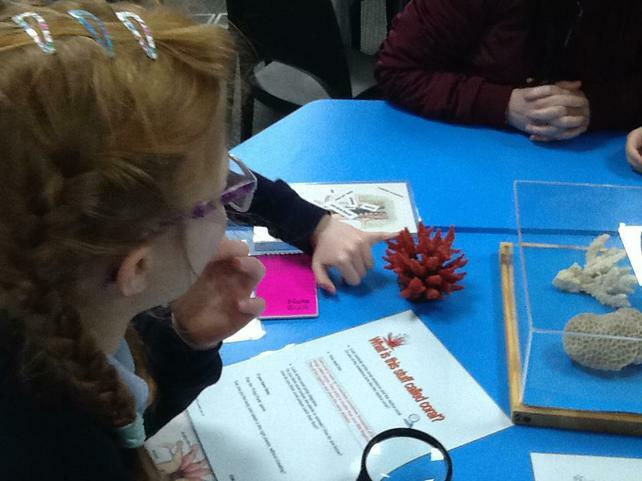 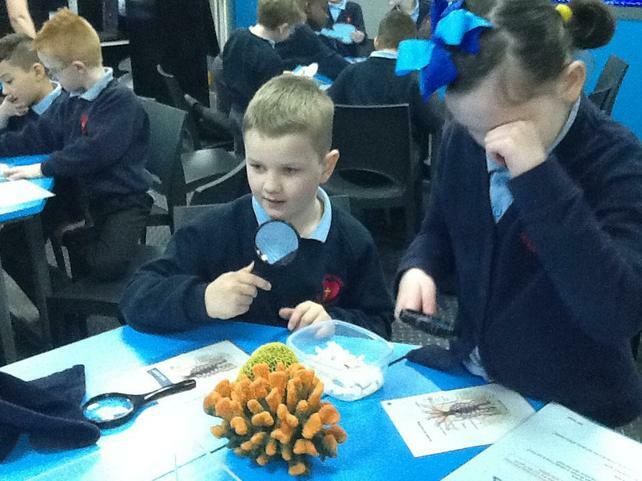 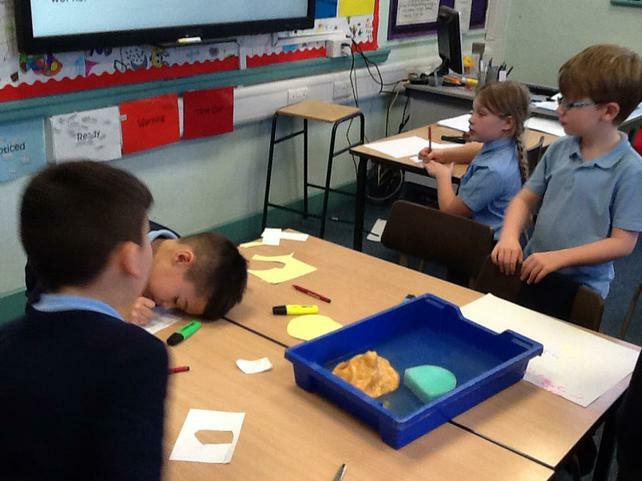 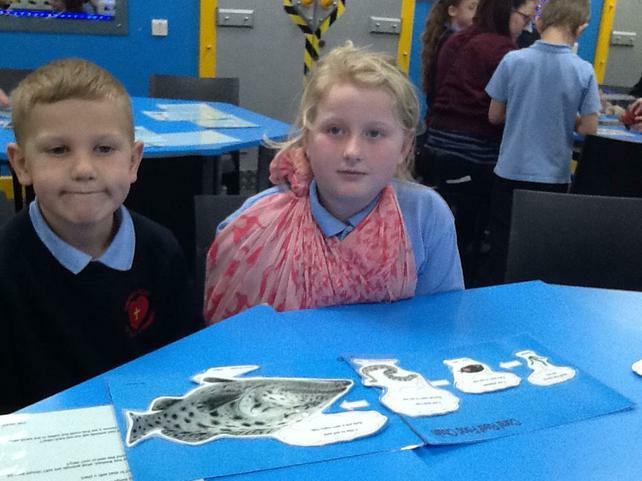 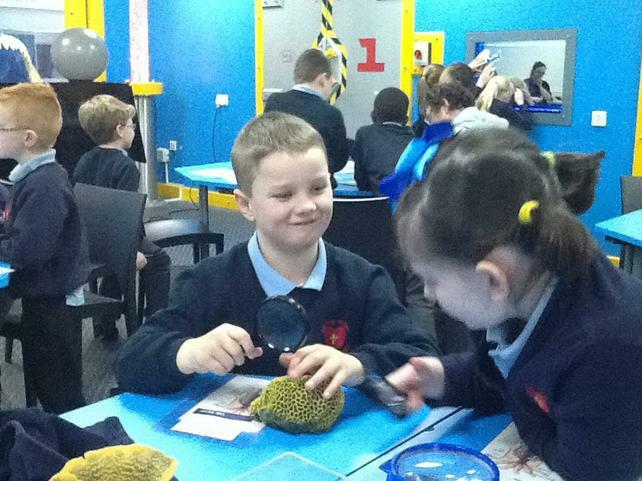 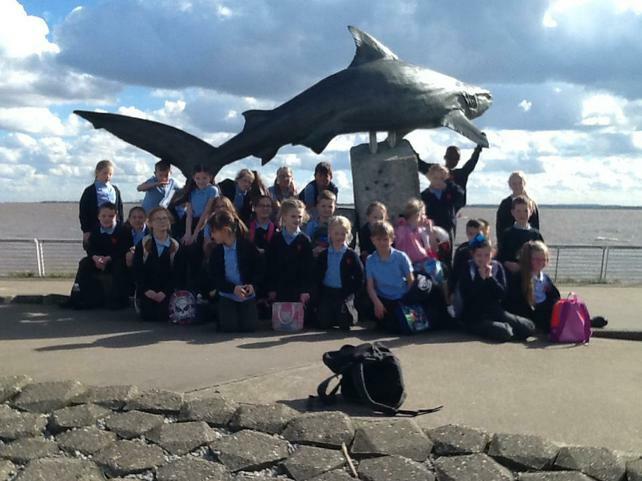 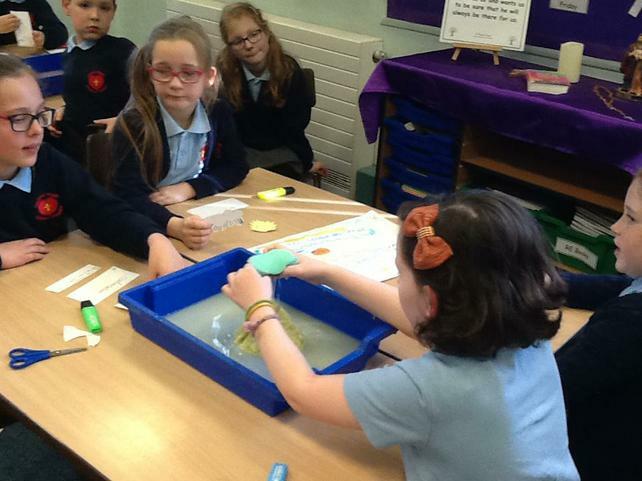 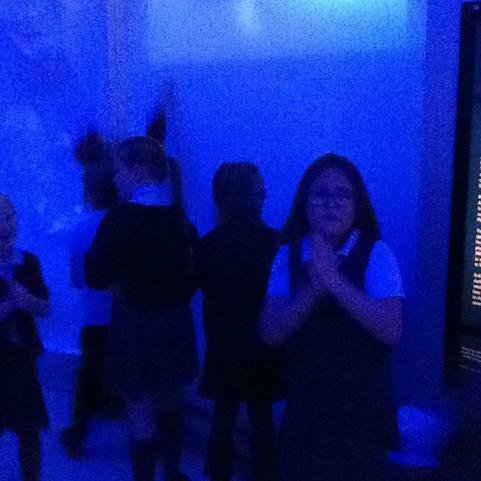 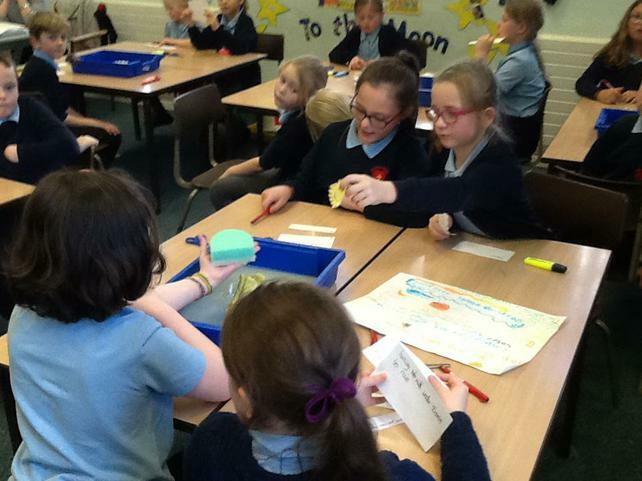 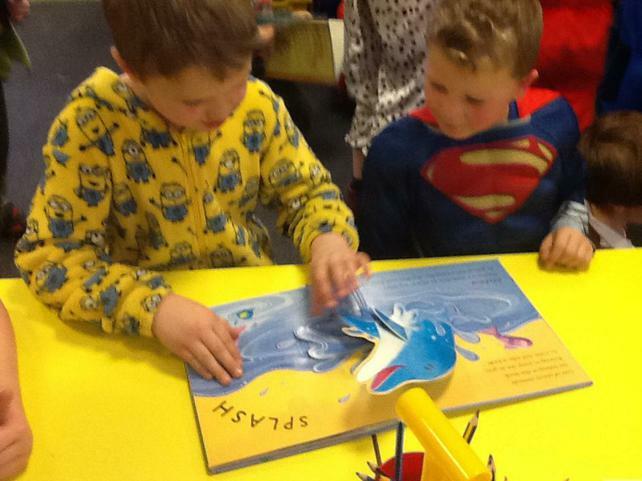 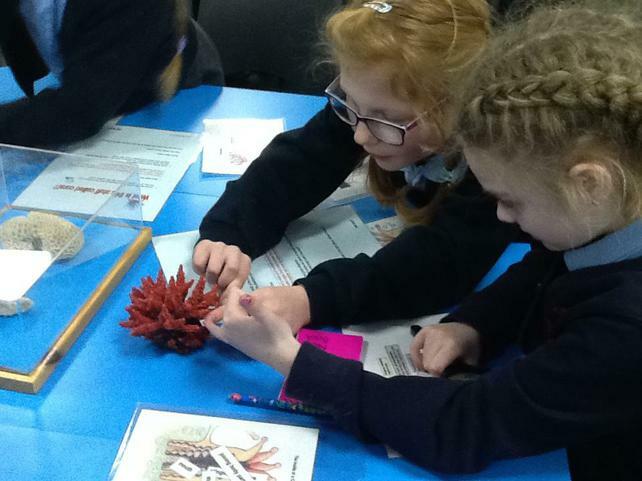 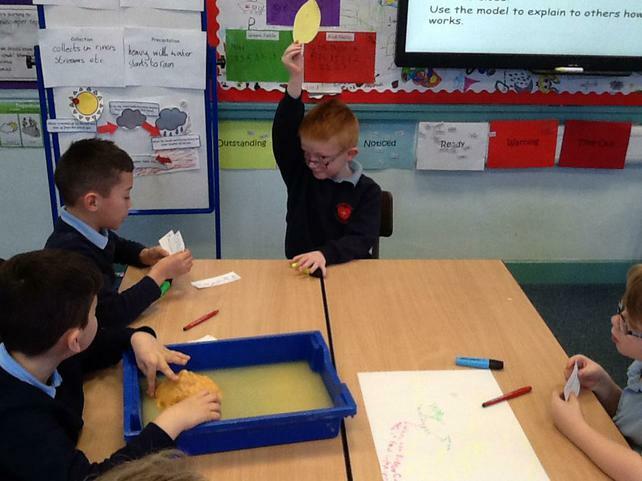 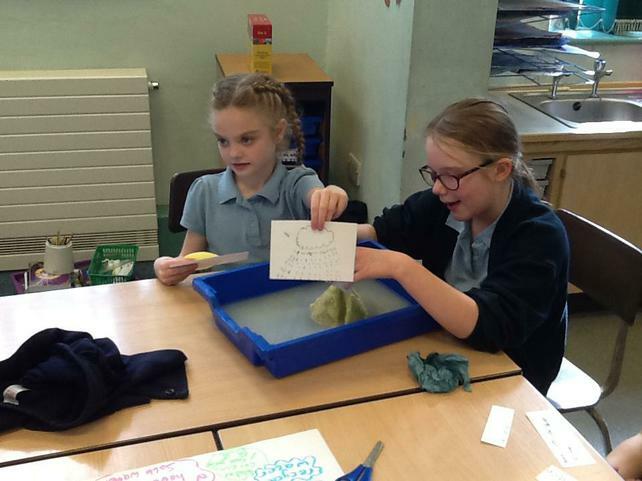 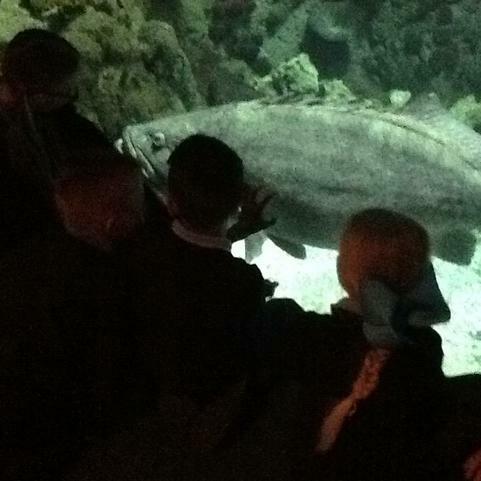 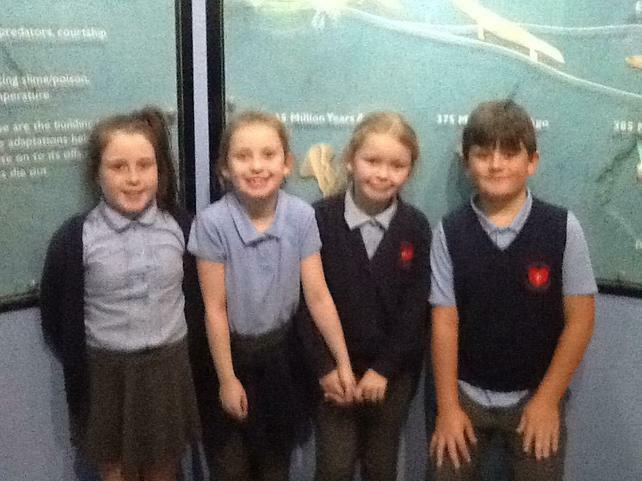 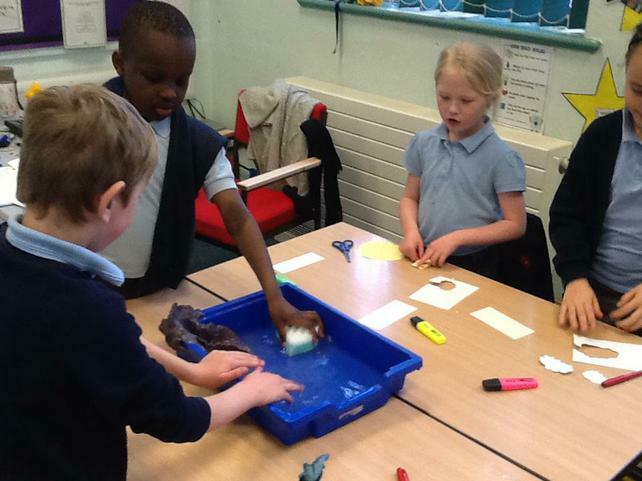 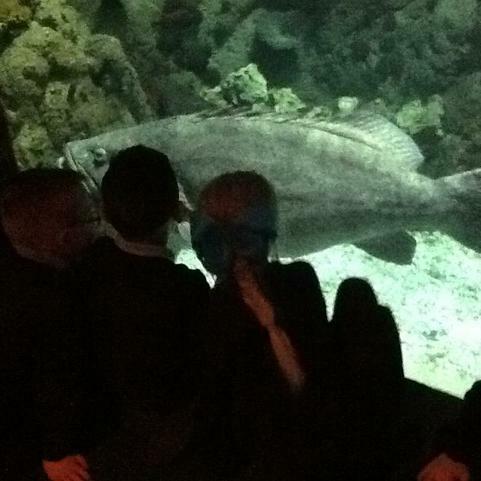 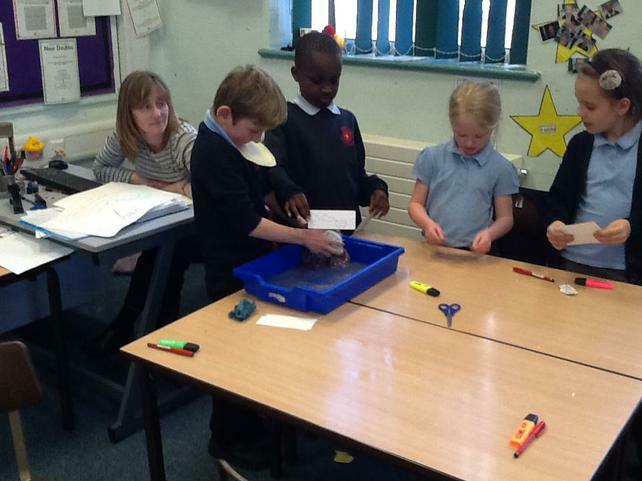 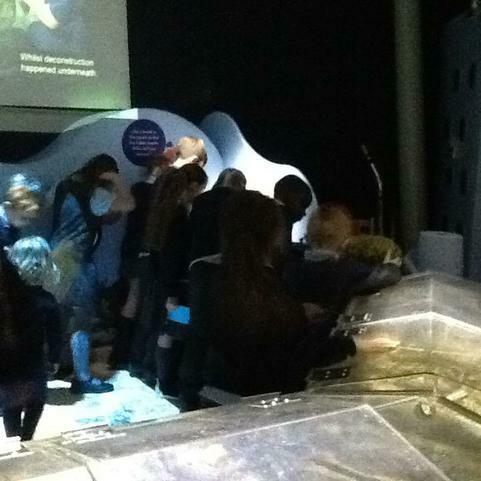 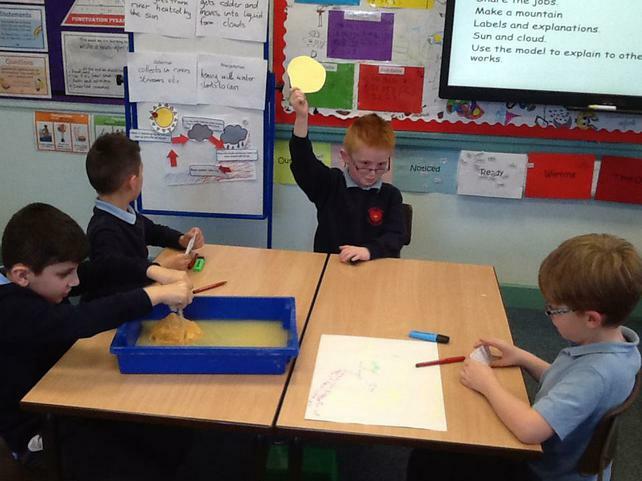 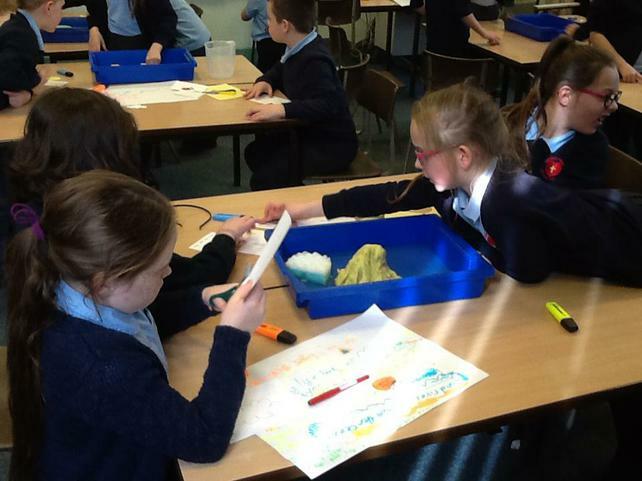 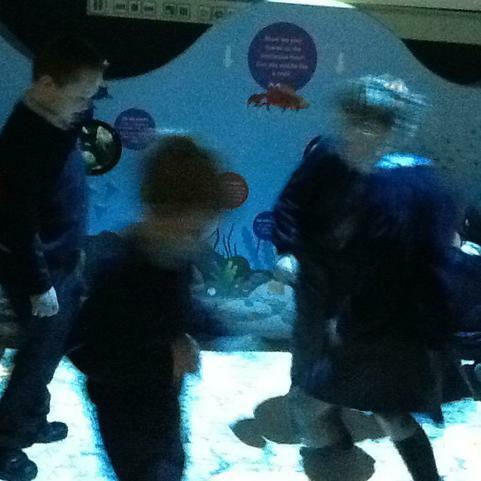 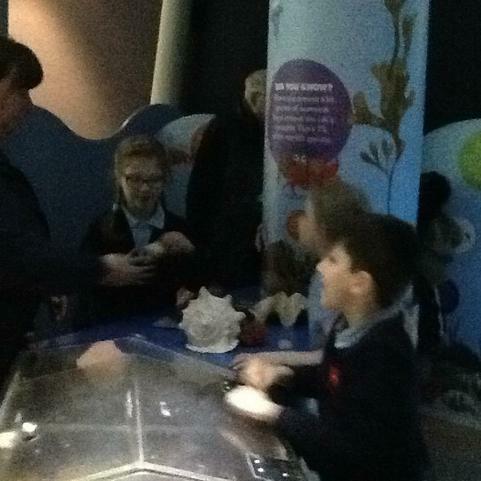 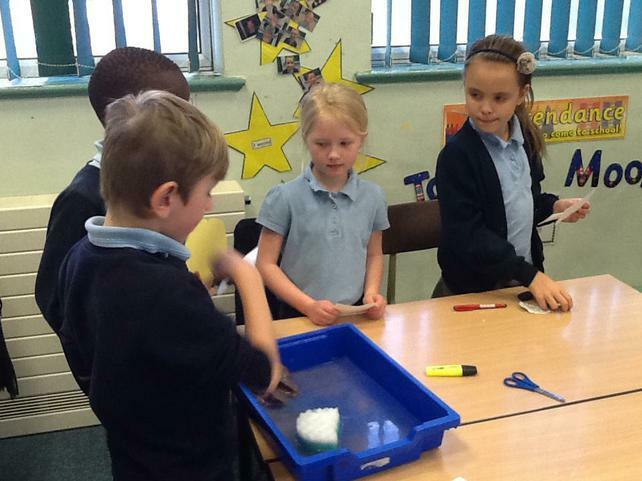 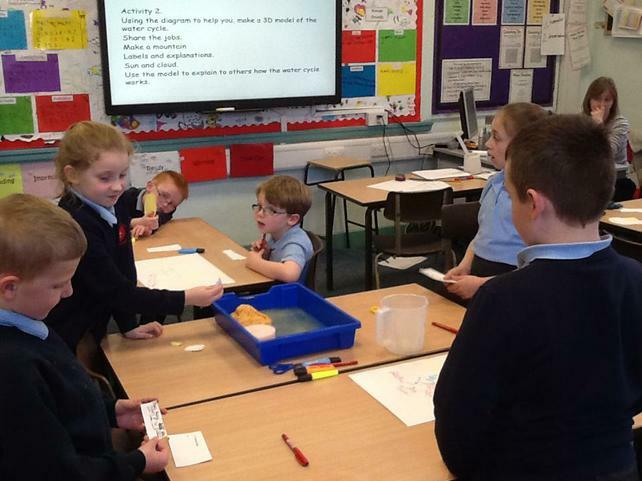 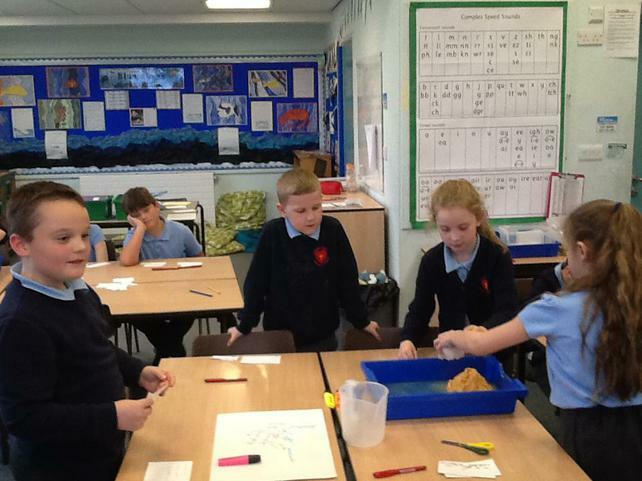 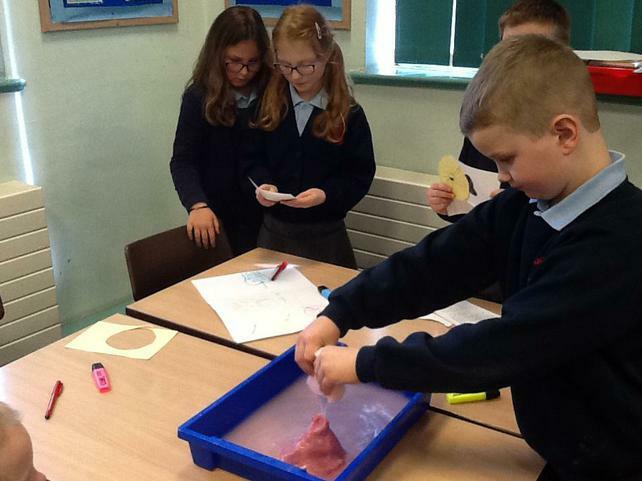 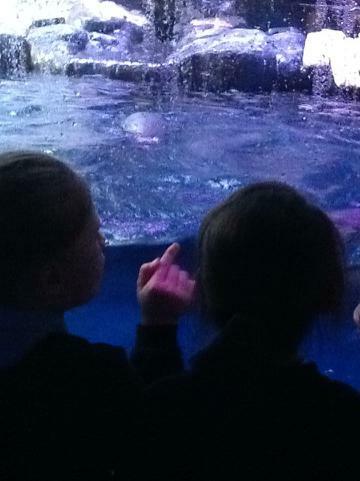 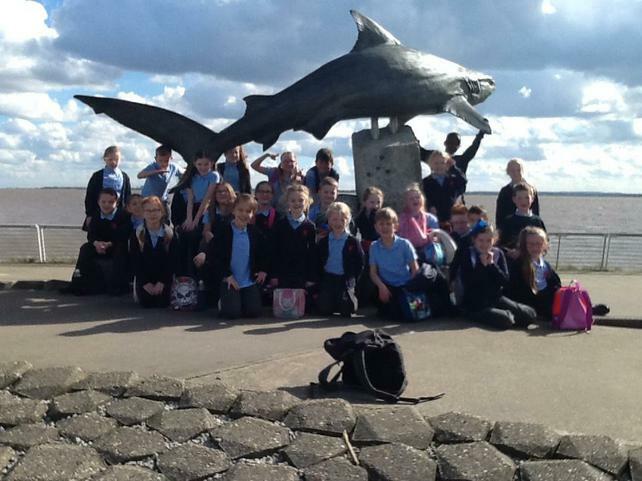 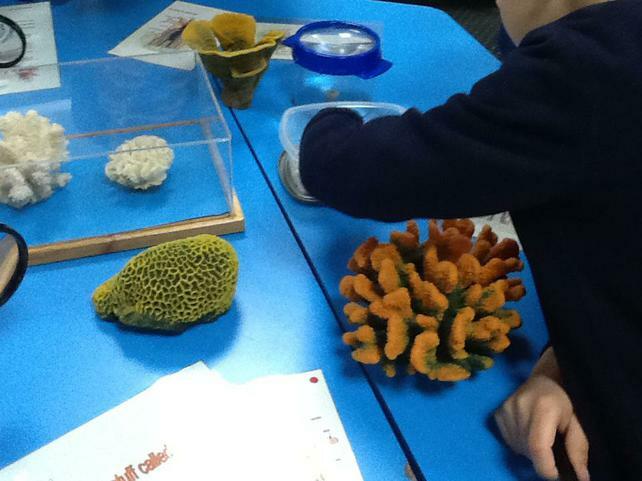 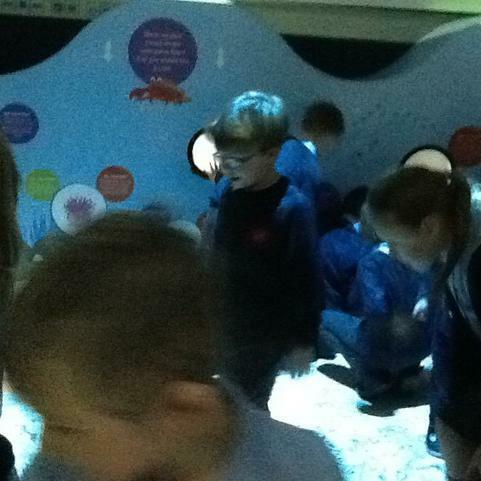 The children learnt a lot and were fascinated by the different types of fish and sea life that they saw. 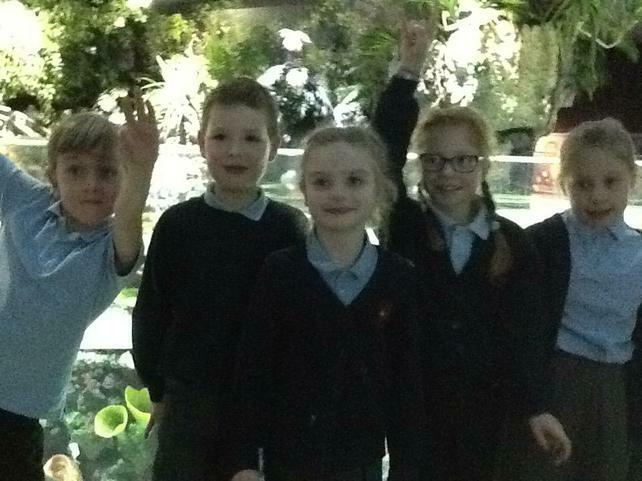 They were very well behaved and their favourite part was lunch as always. 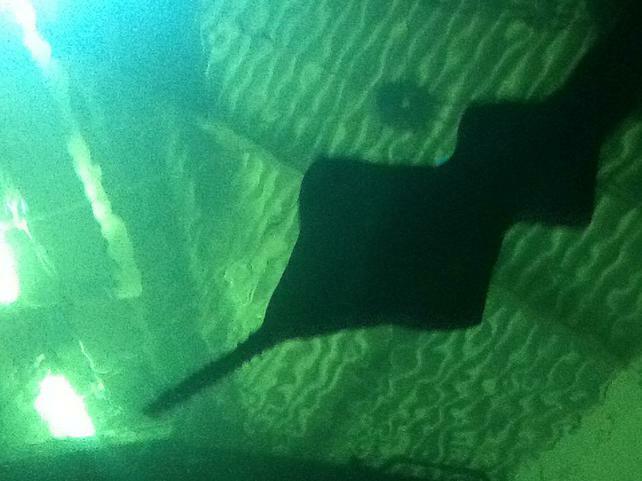 We have a new arrival in our fish tank. 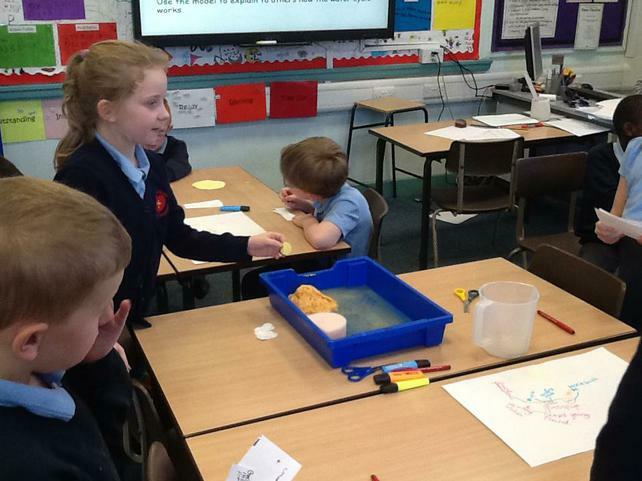 Another egg has hatched which means we now have 2 sea monkeys. 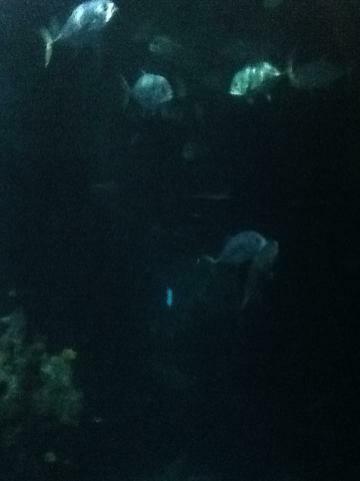 Let's see how long they stay alive. 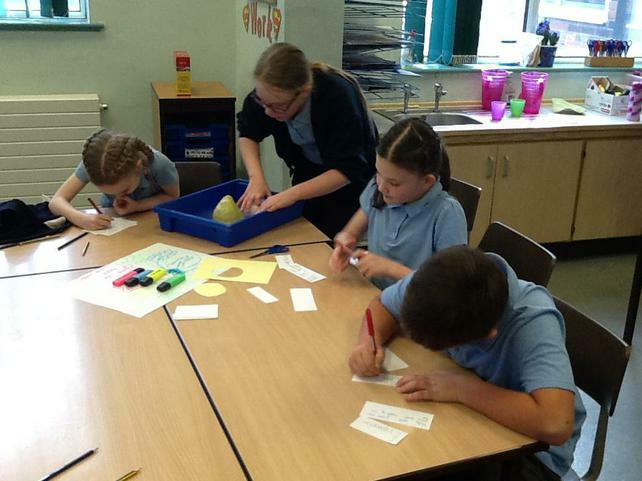 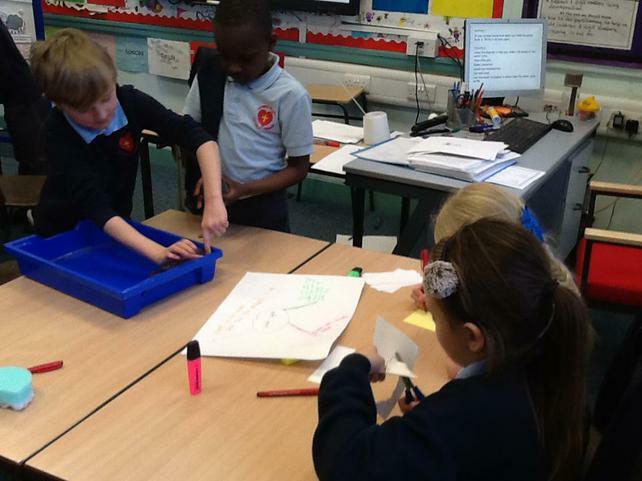 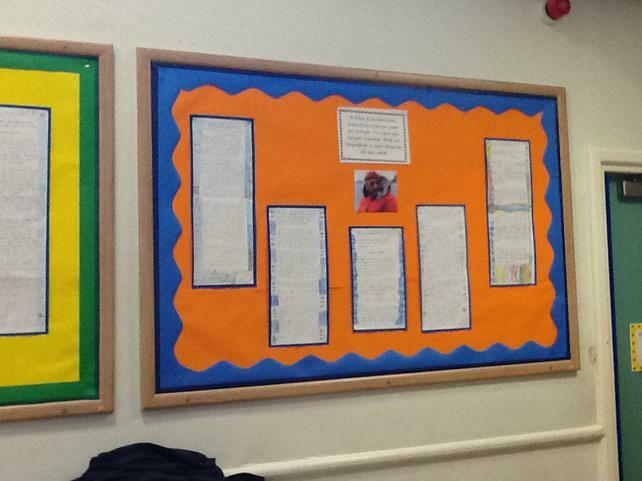 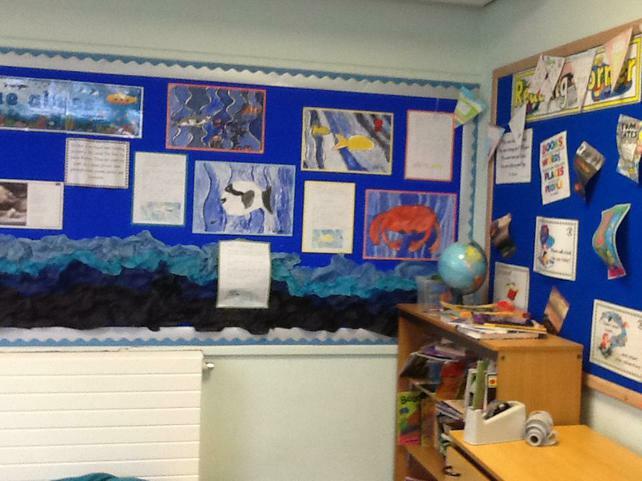 We have been busy painting and writing up our poems and biographies for our displays. 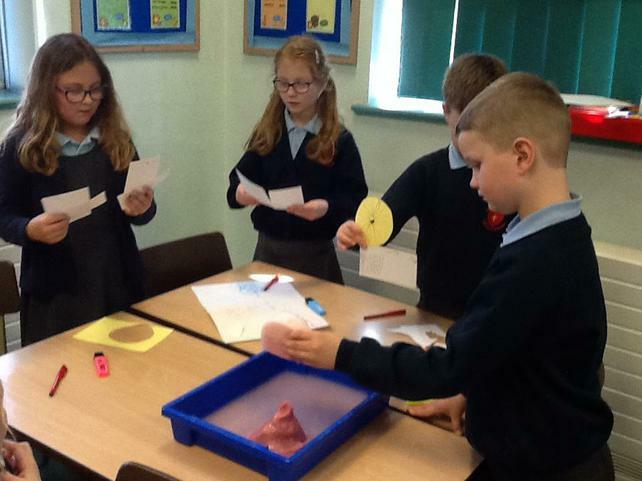 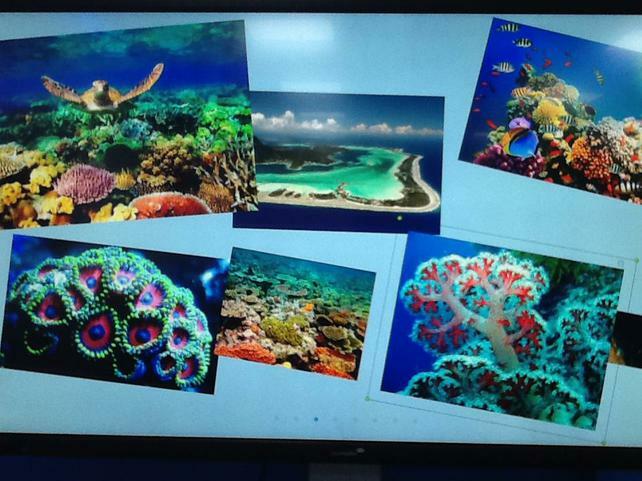 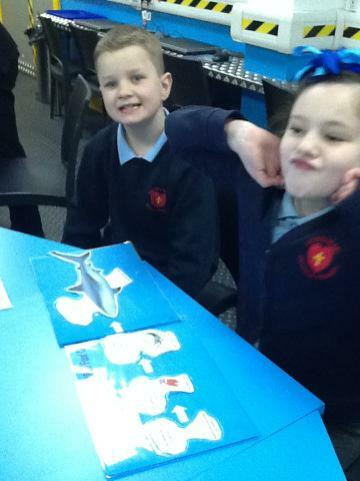 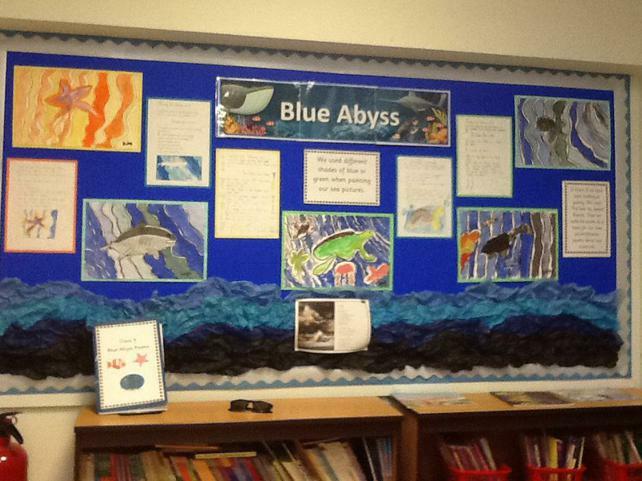 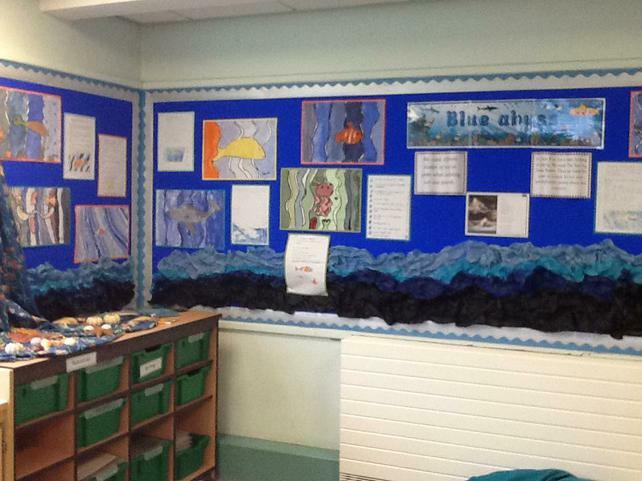 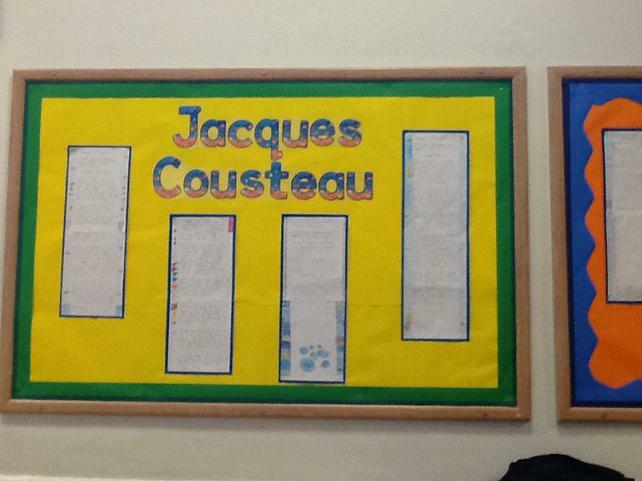 The children have enjoyed learning about the undersea explorer Jacques Cousteau and have produced some lovely work. 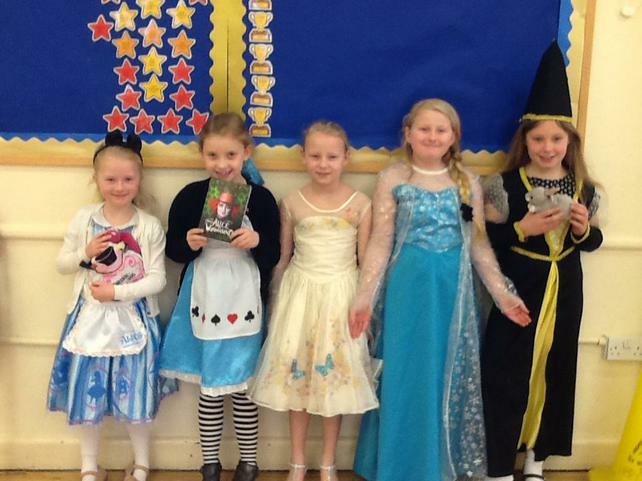 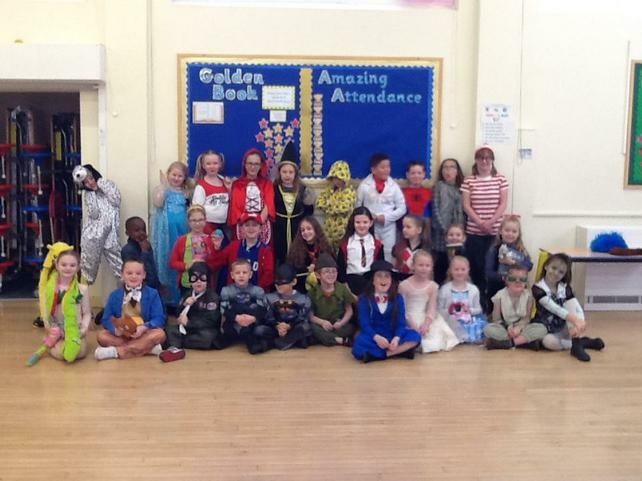 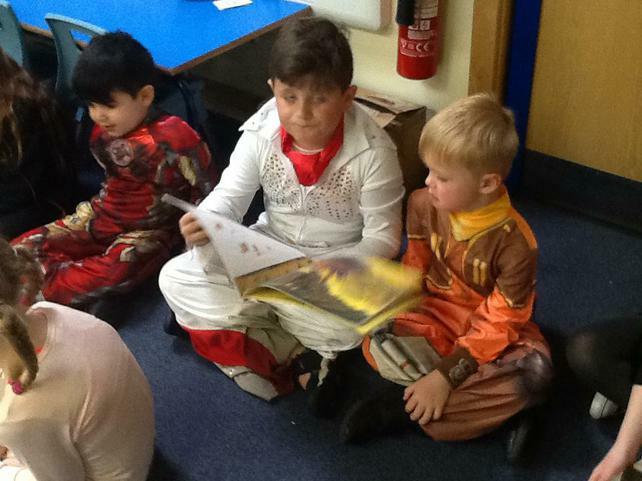 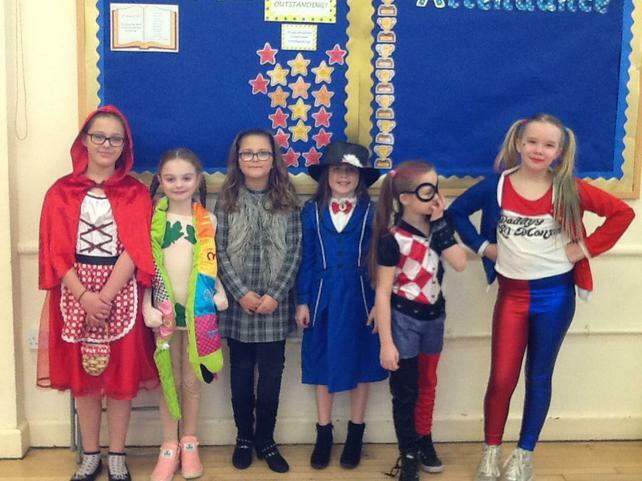 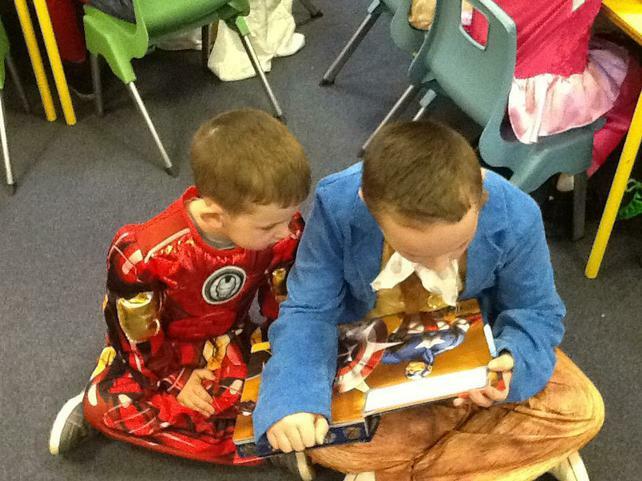 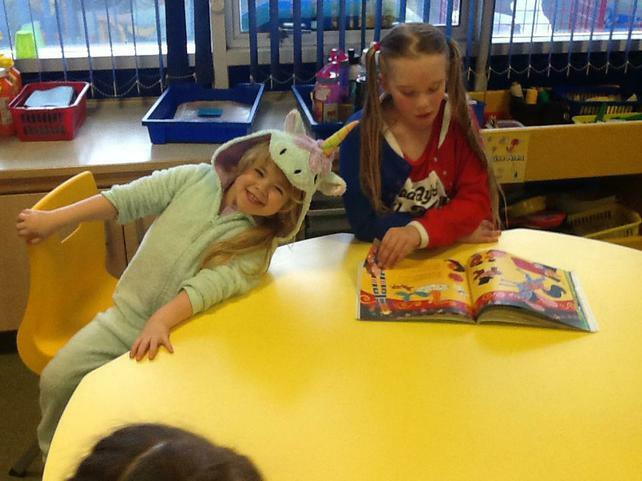 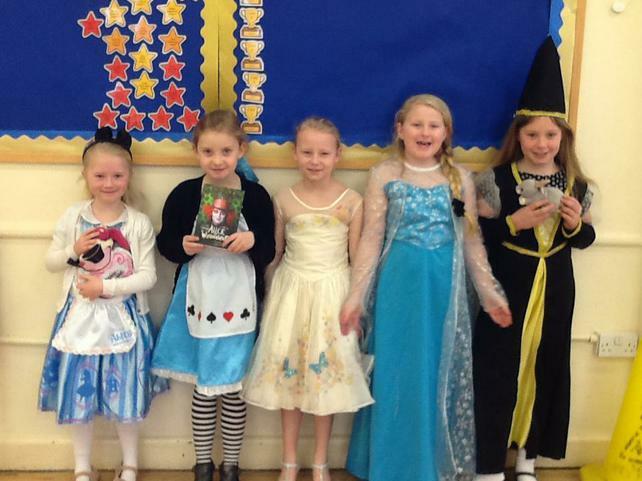 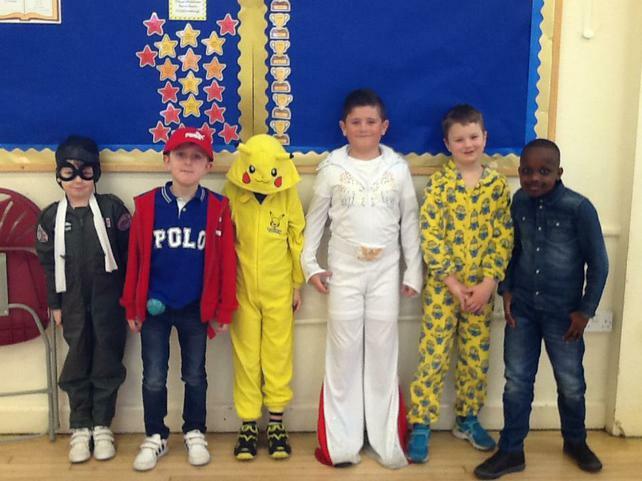 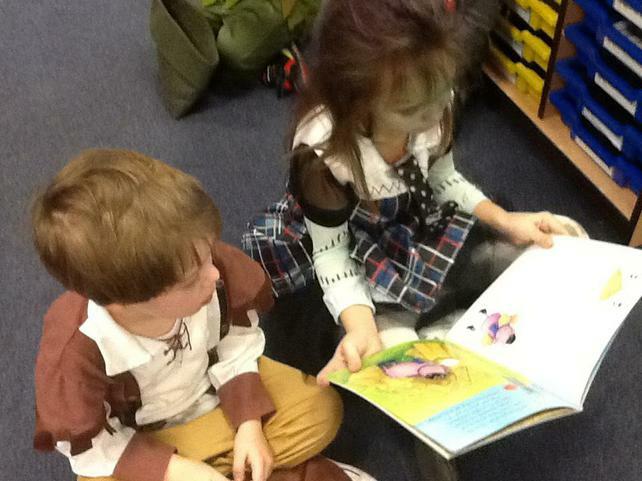 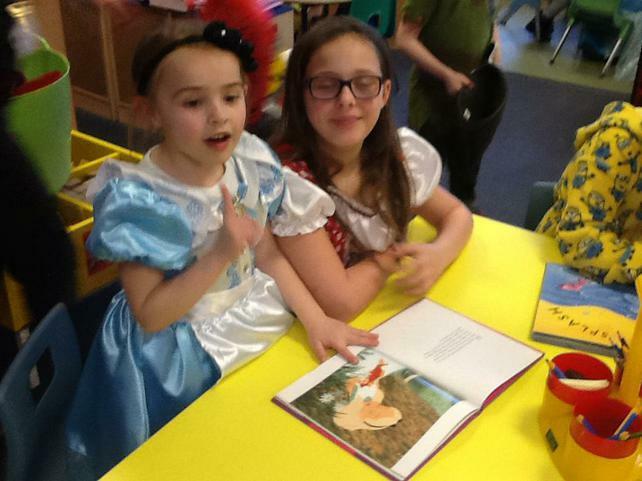 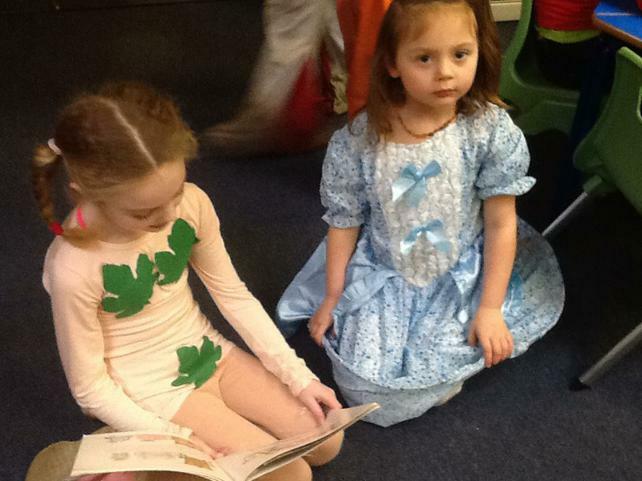 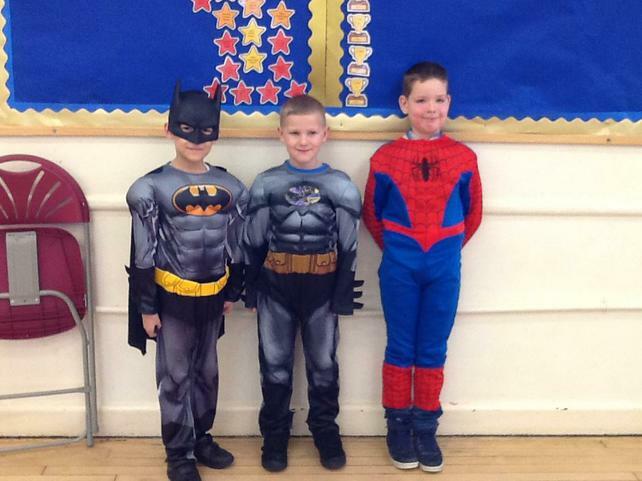 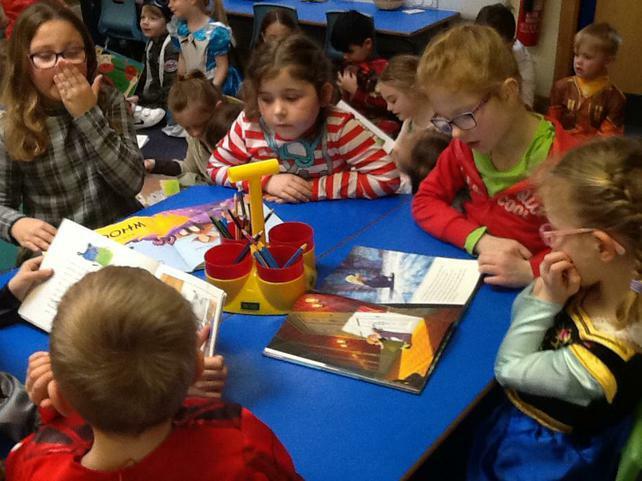 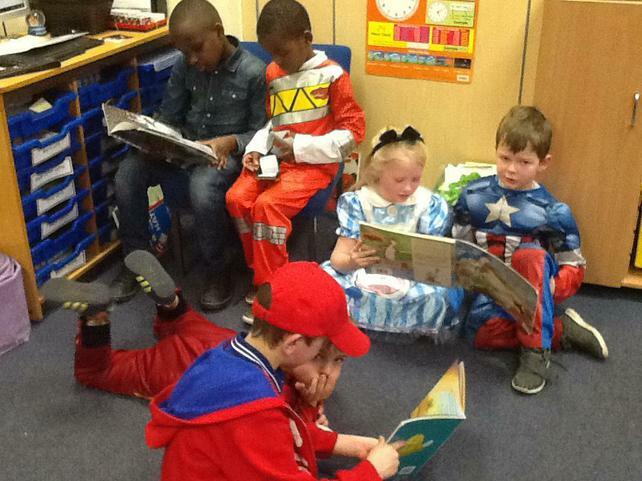 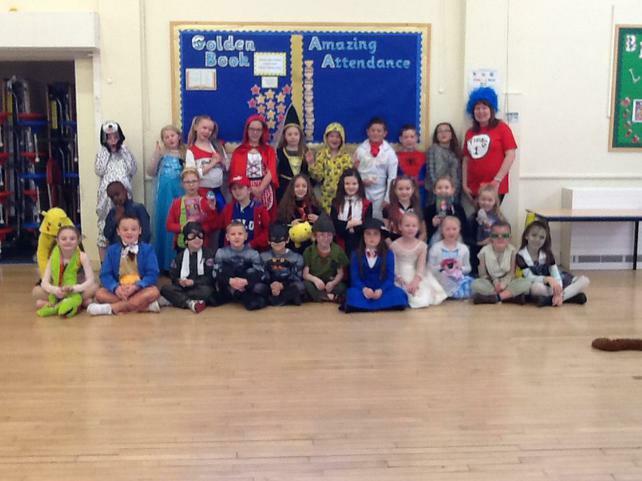 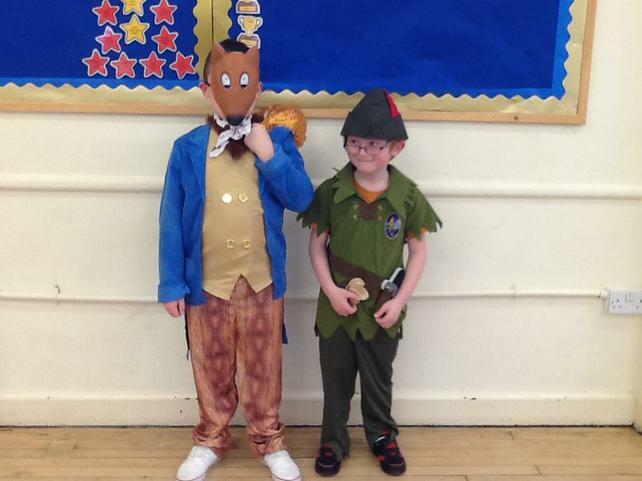 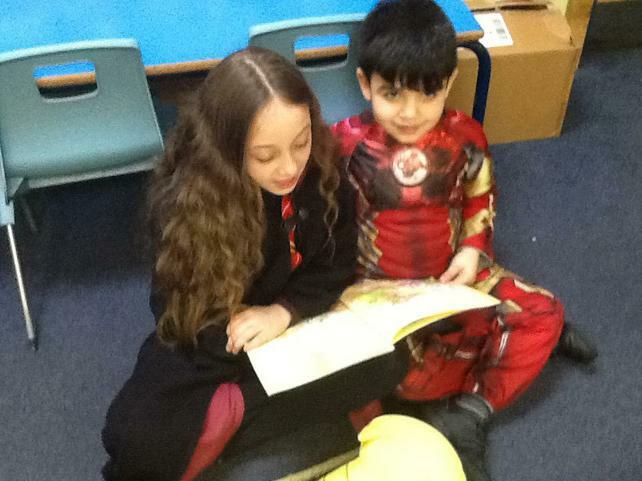 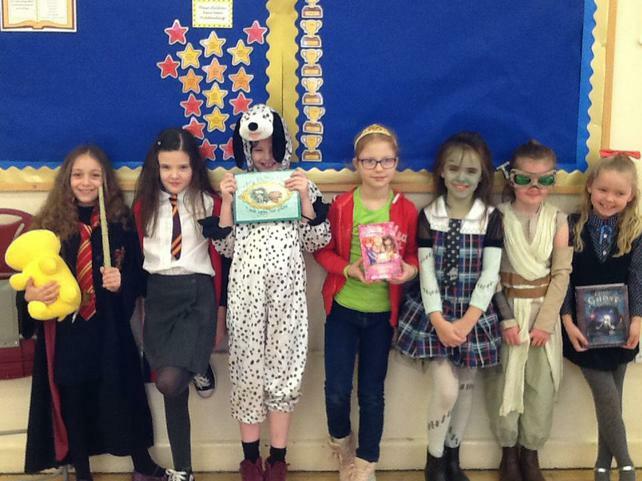 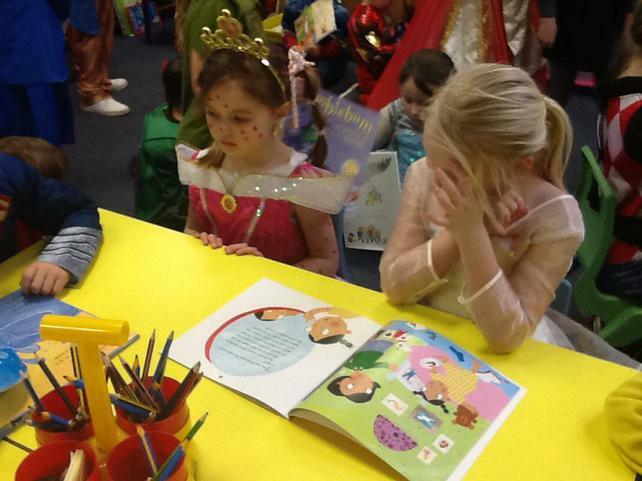 Everyone in Class 3 looked fantastic for World Book Day last week. Well done for dressing up. 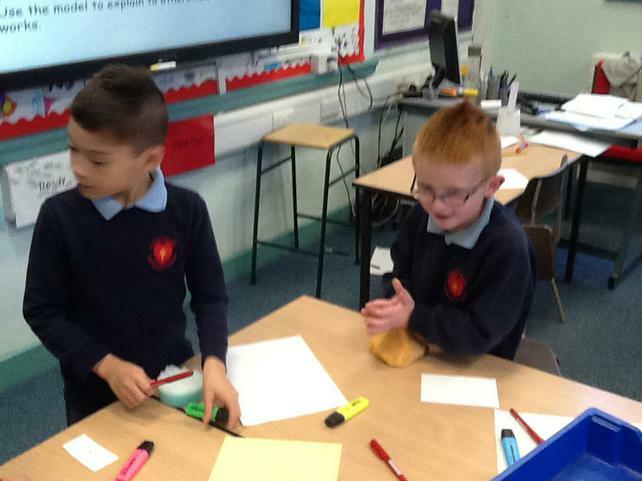 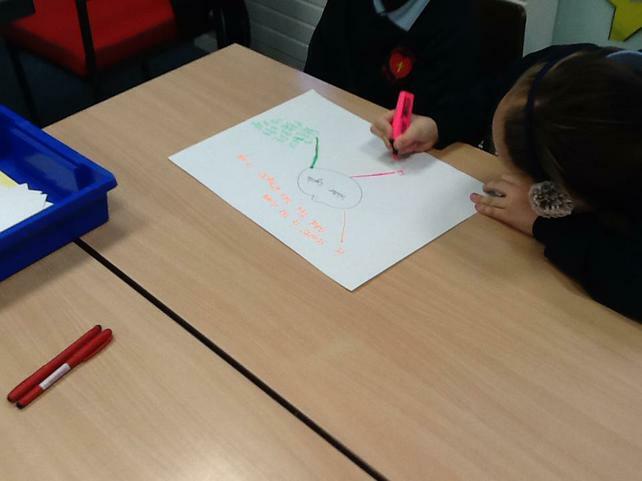 We wrote a 10 word story, which they found quite challenging, about their character. 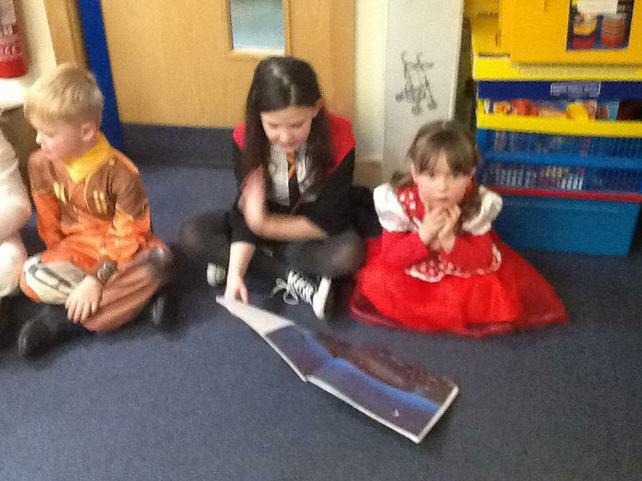 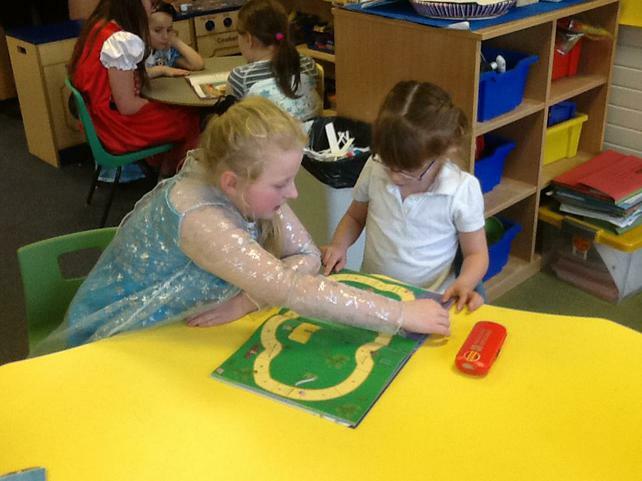 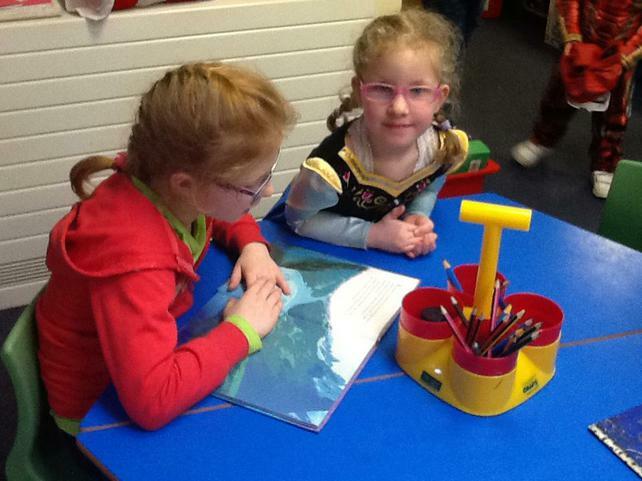 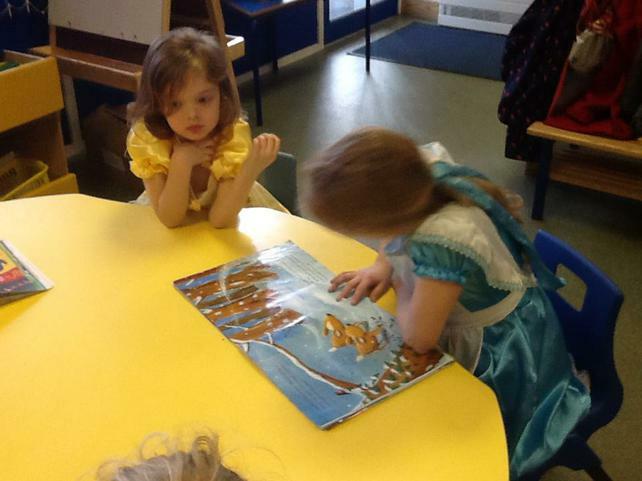 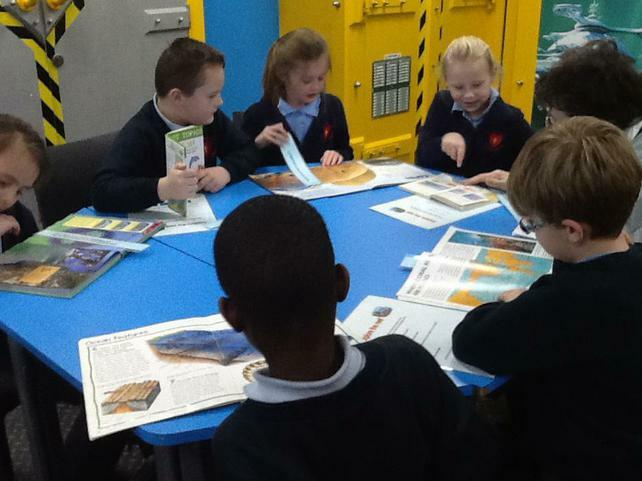 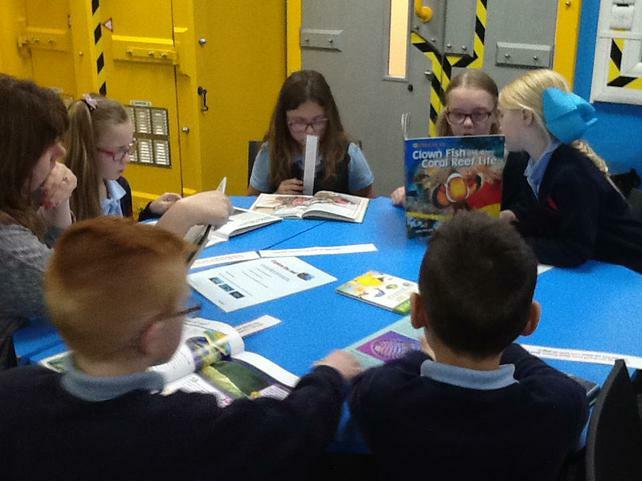 In the afternoon we went down to Class 1 and partnered up and we read them some stories. 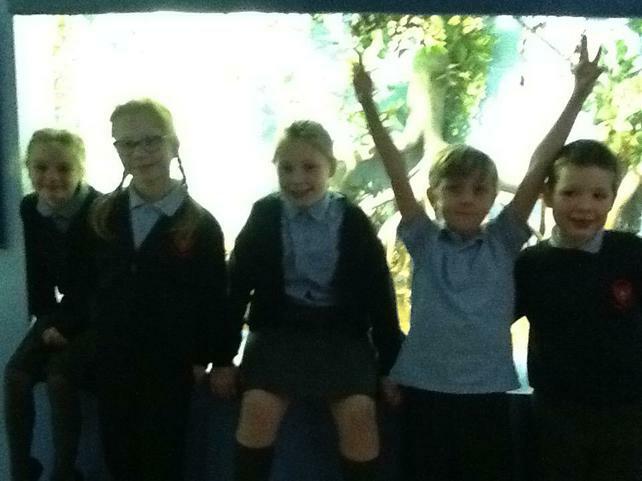 It was the Year 4's first swimming lesson and they came back full of enthusiasm. 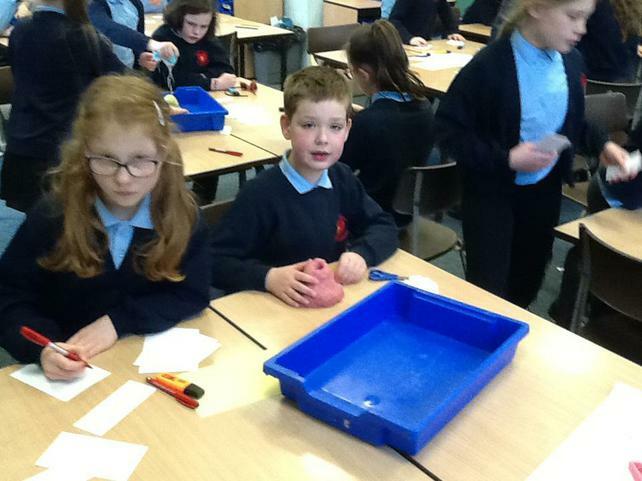 We are up and running once again. 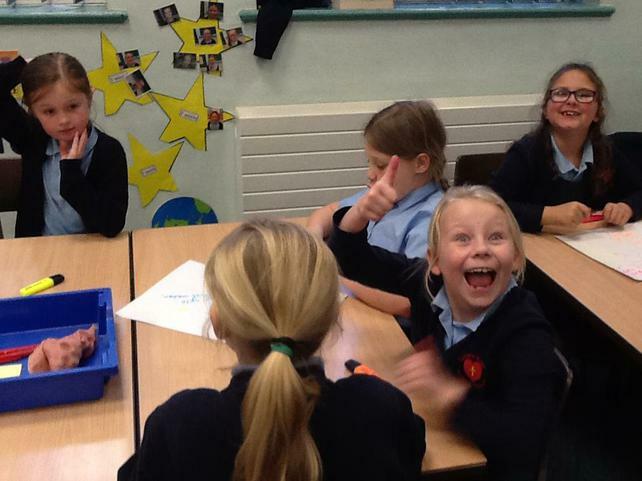 Hope you all had a nice half term. 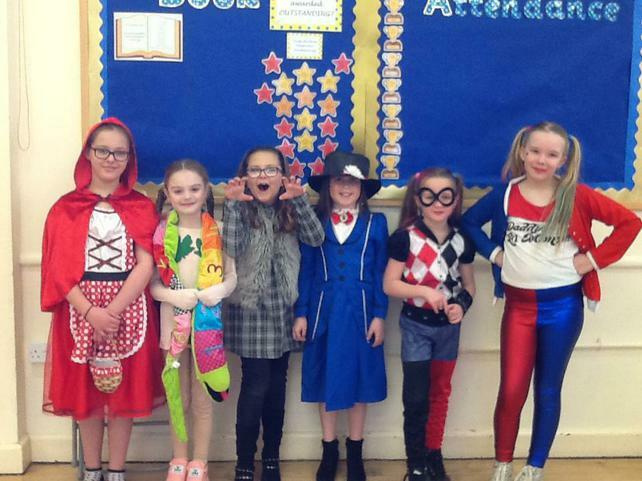 Its a busy week once again, Pancake day yesterday, Ash Wednesday today and World Book Day tomorrow. 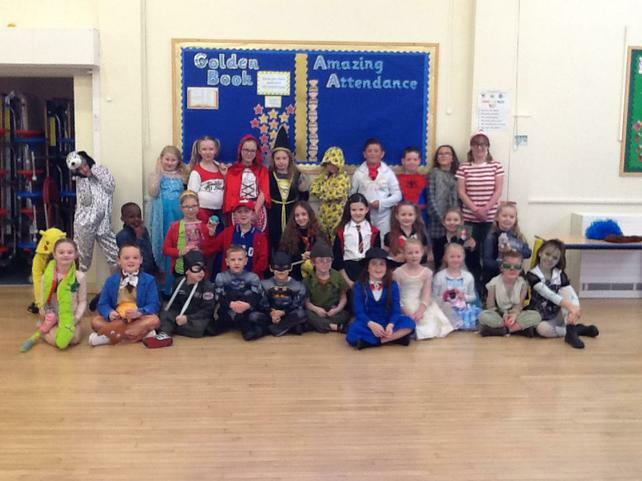 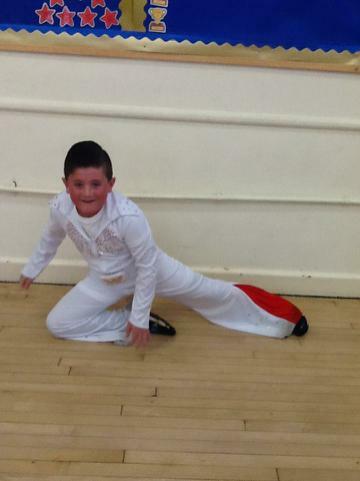 Photos of the class in dressing up next week. 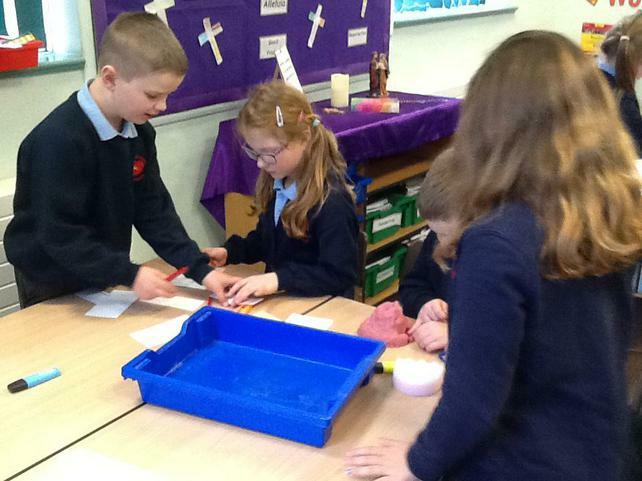 We have had a lovely Ash Wednesday service this morning with some of the children in our class reading beautifully.